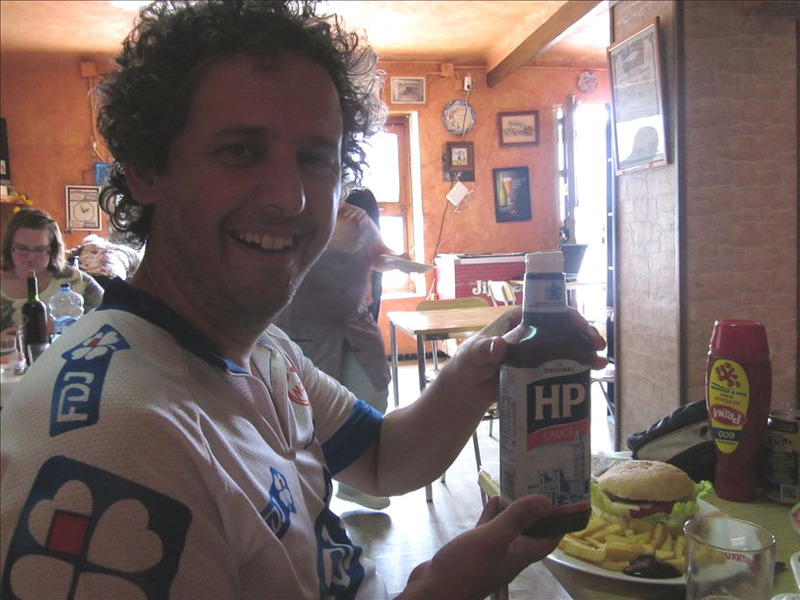 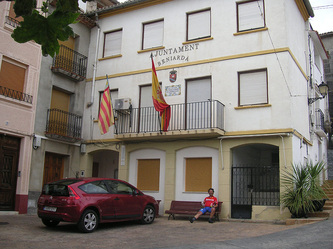 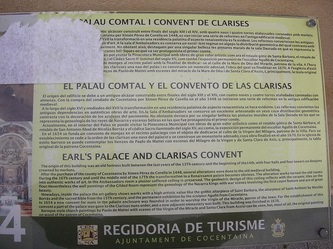 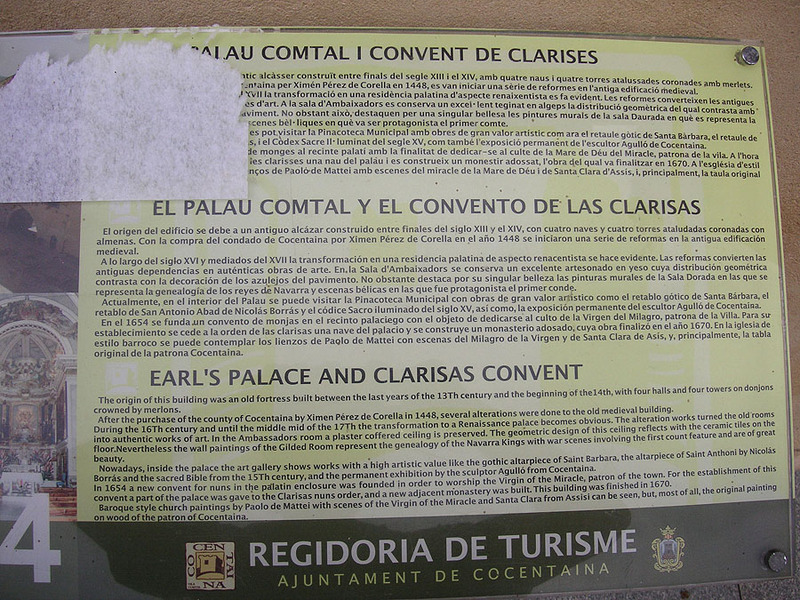 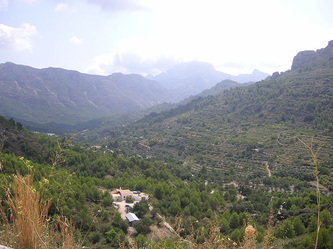 One week CTC holiday, staying in Cocentaina in the Sierra Mariola. 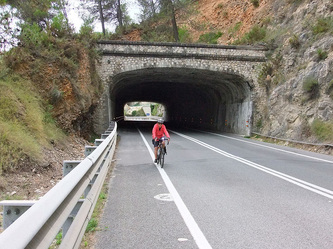 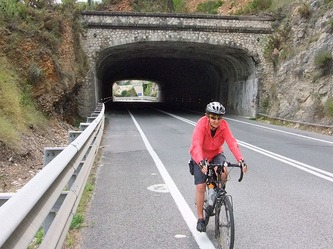 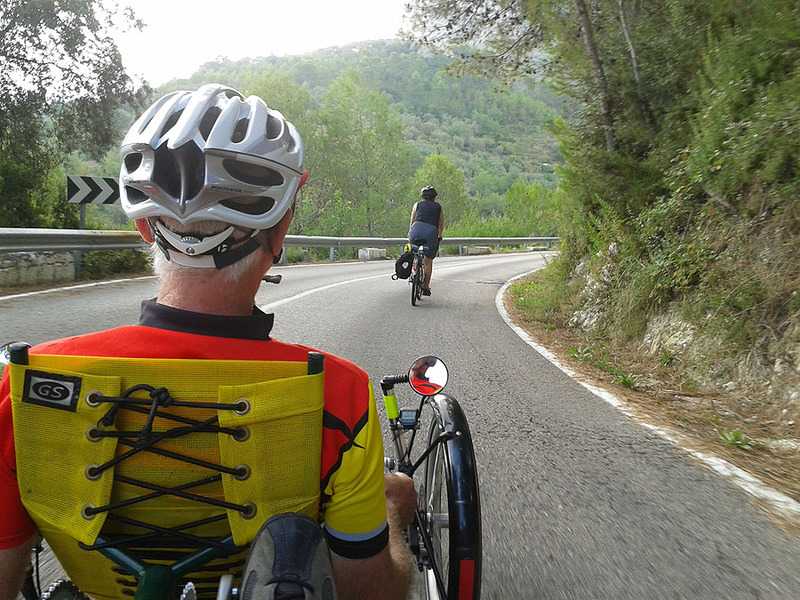 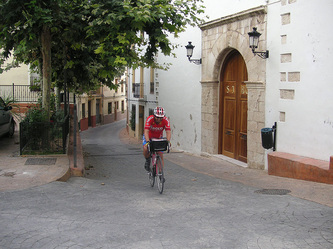 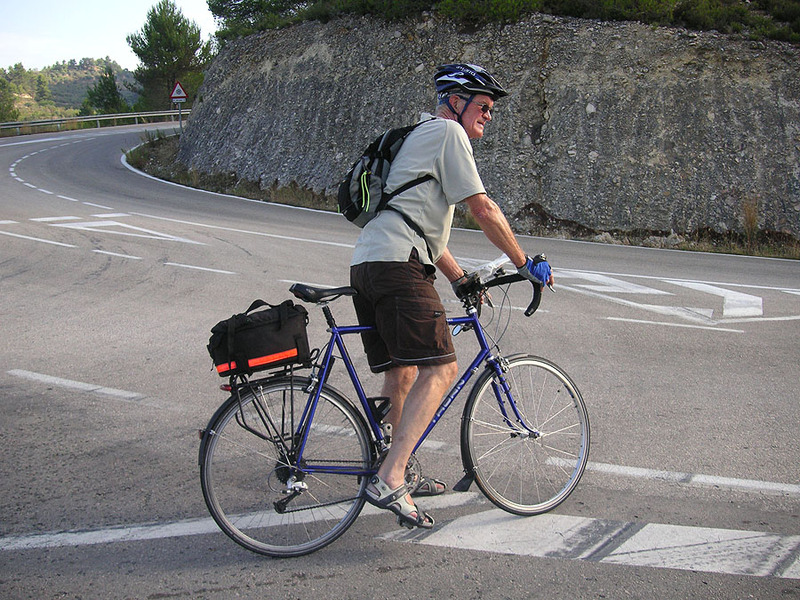 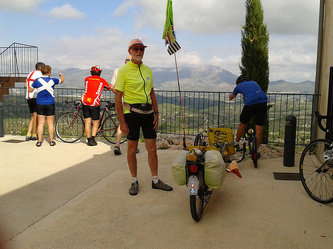 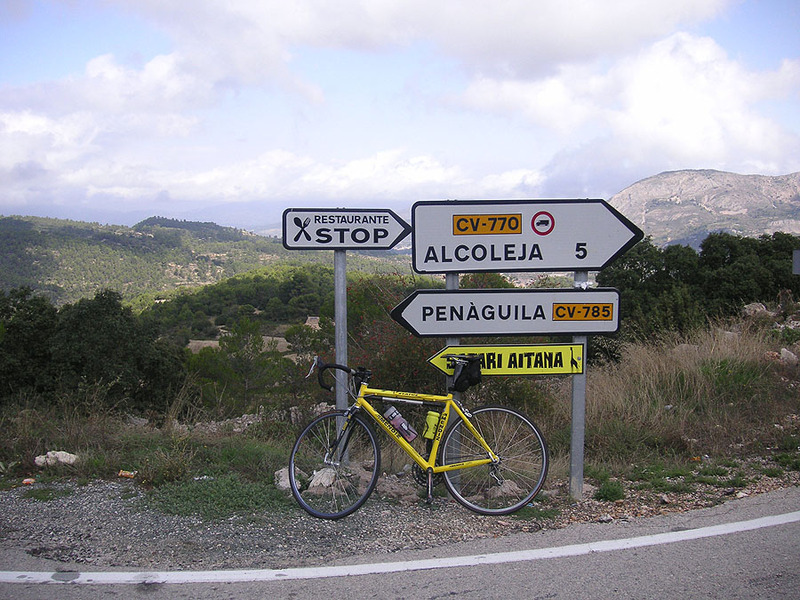 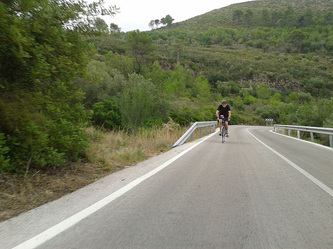 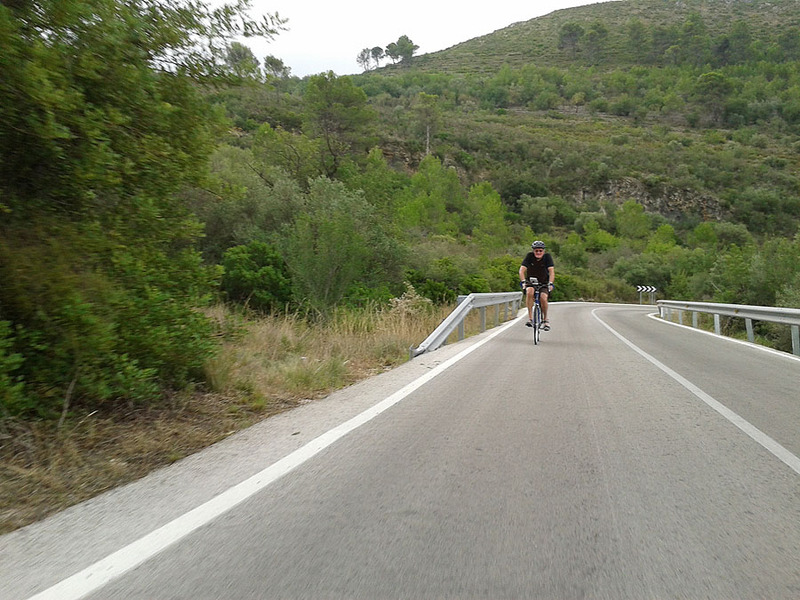 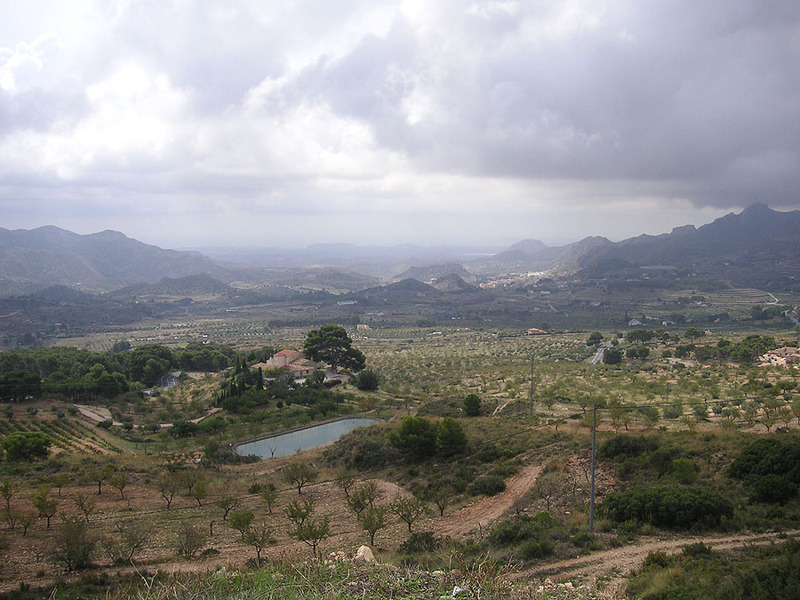 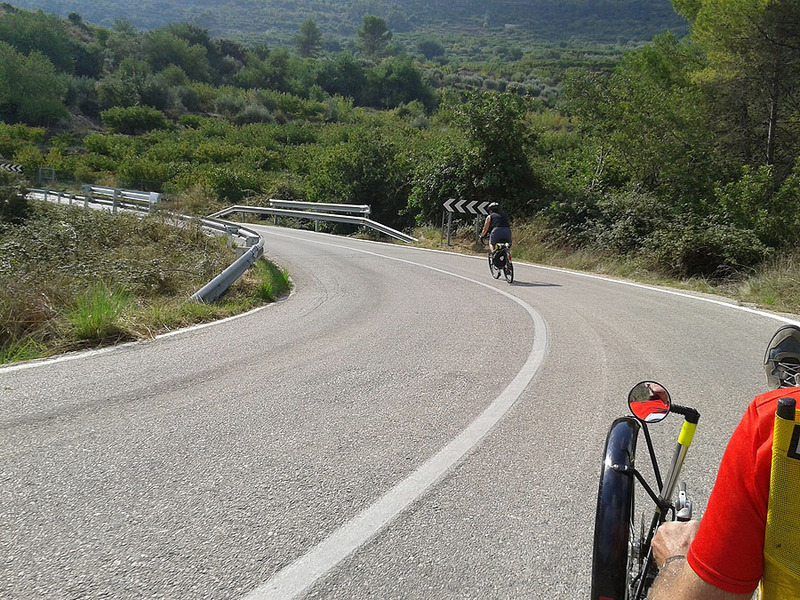 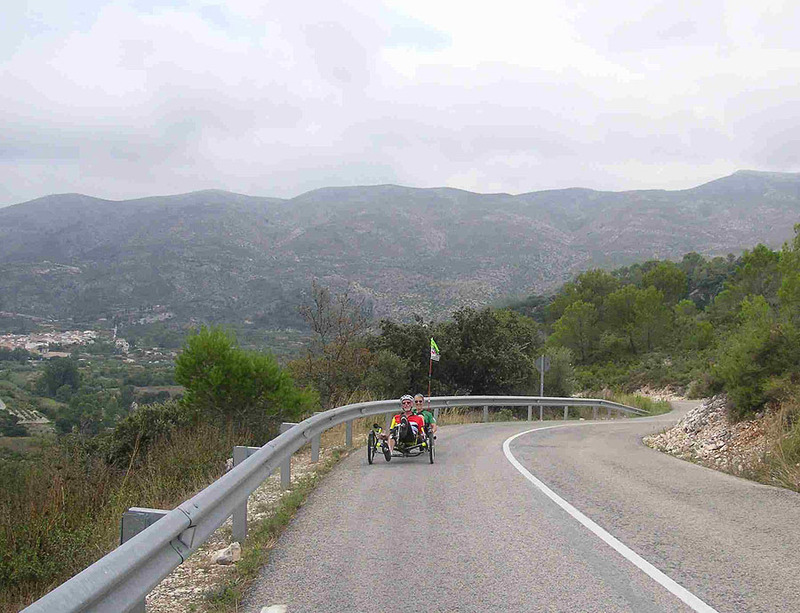 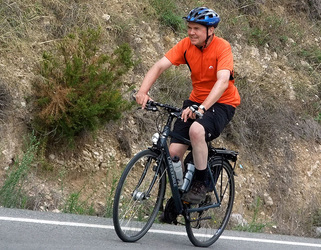 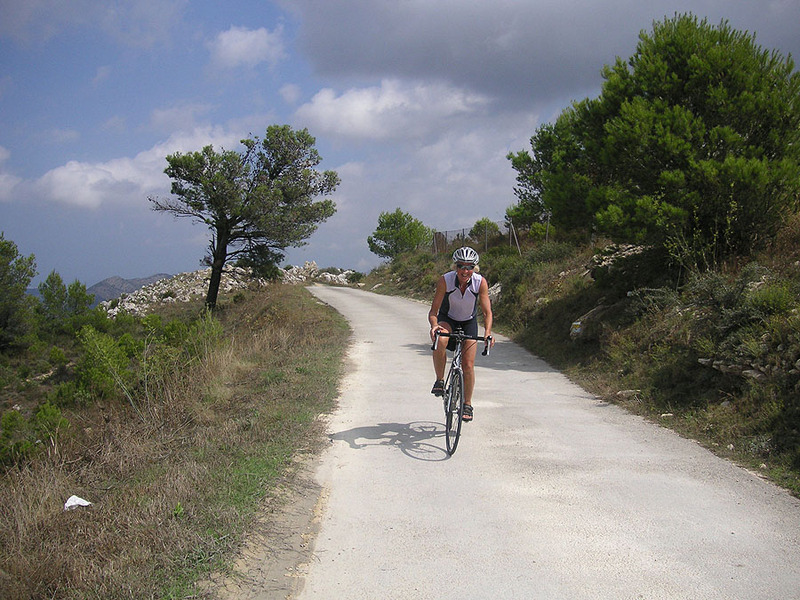 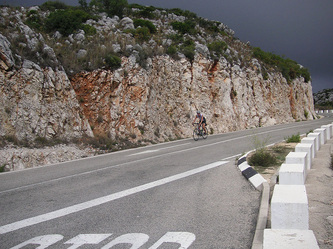 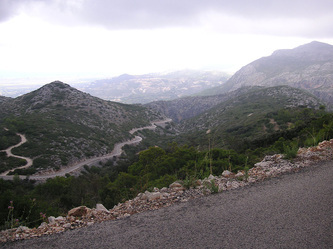 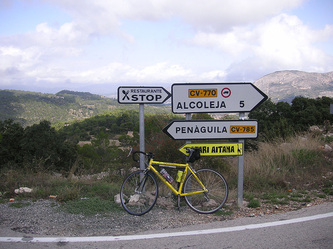 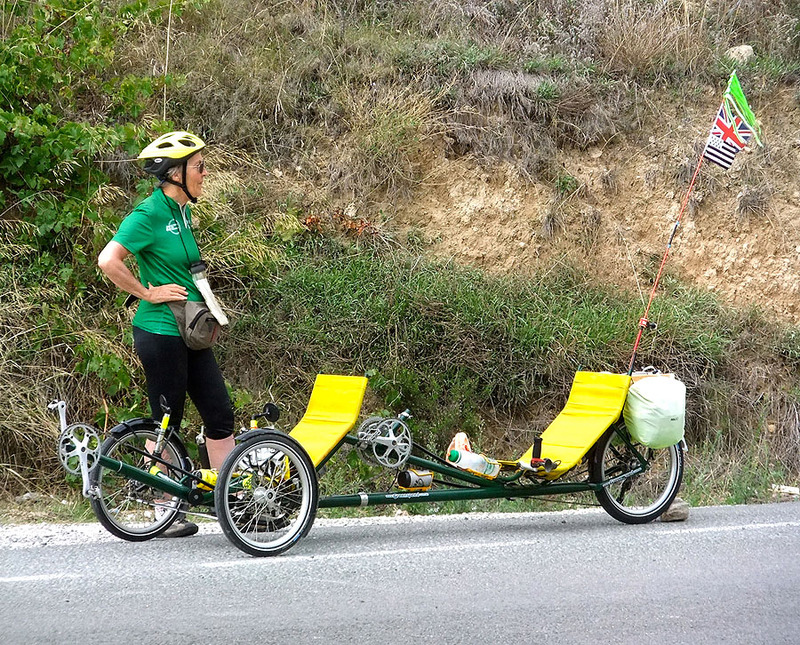 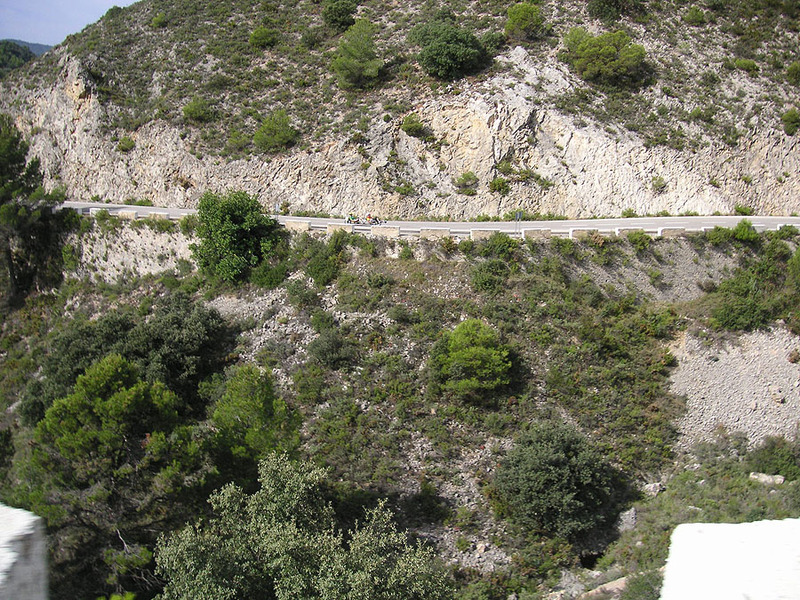 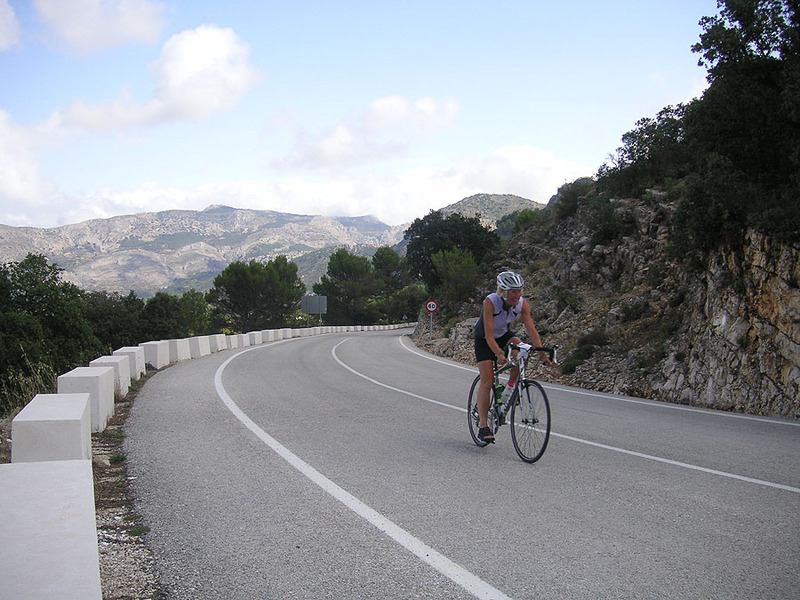 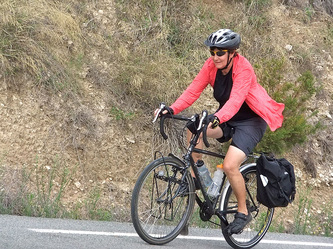 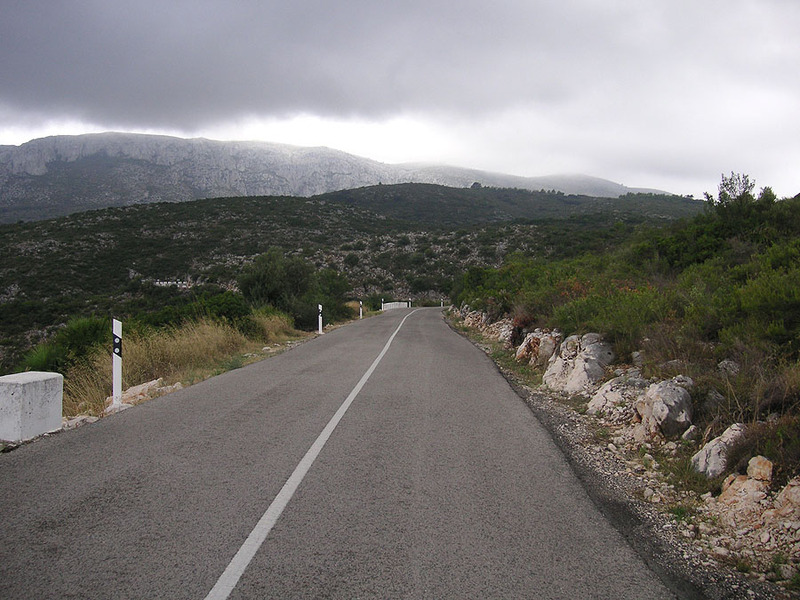 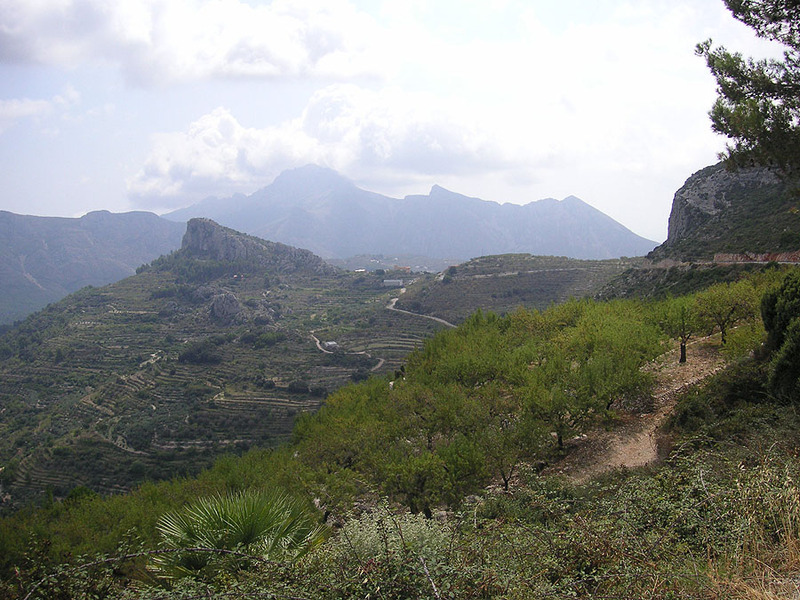 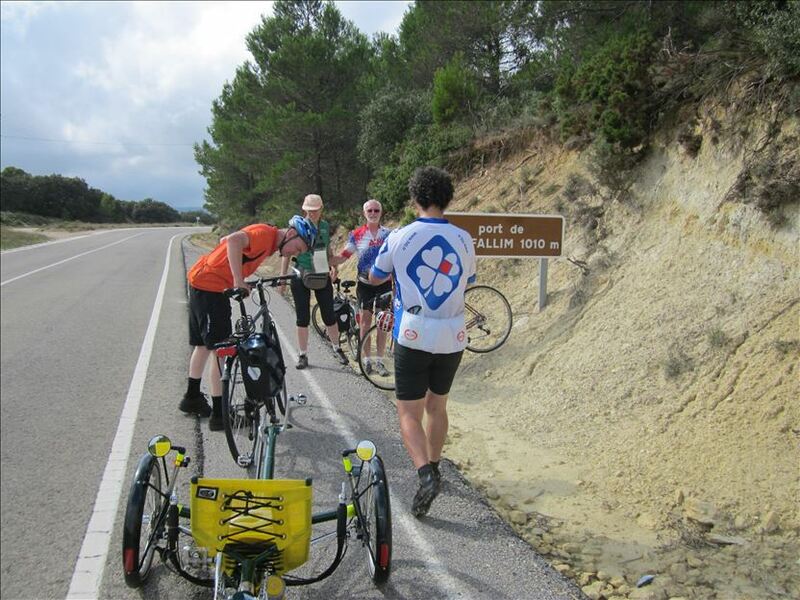 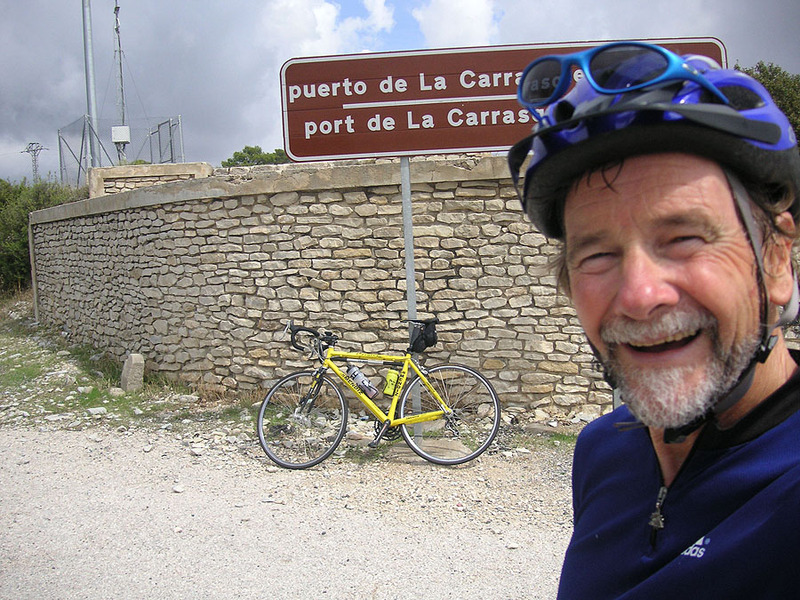 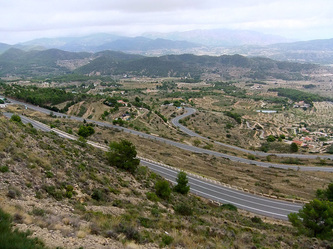 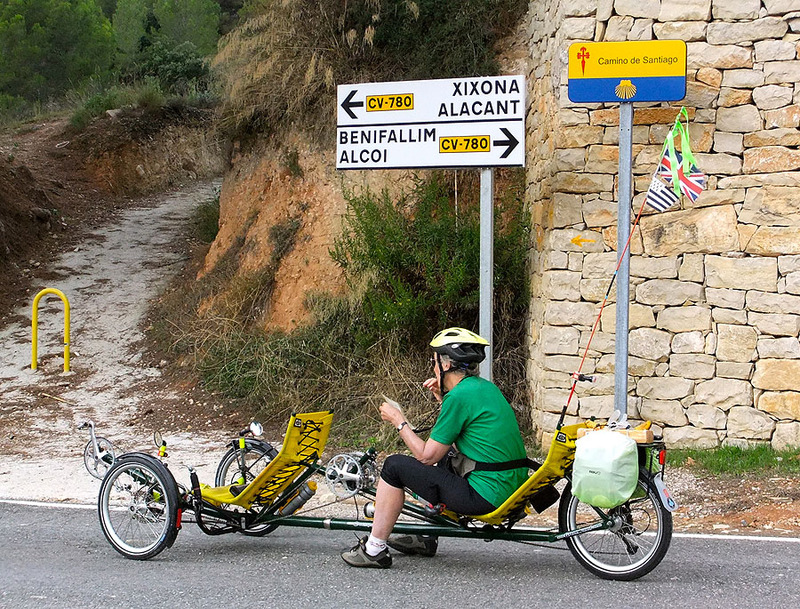 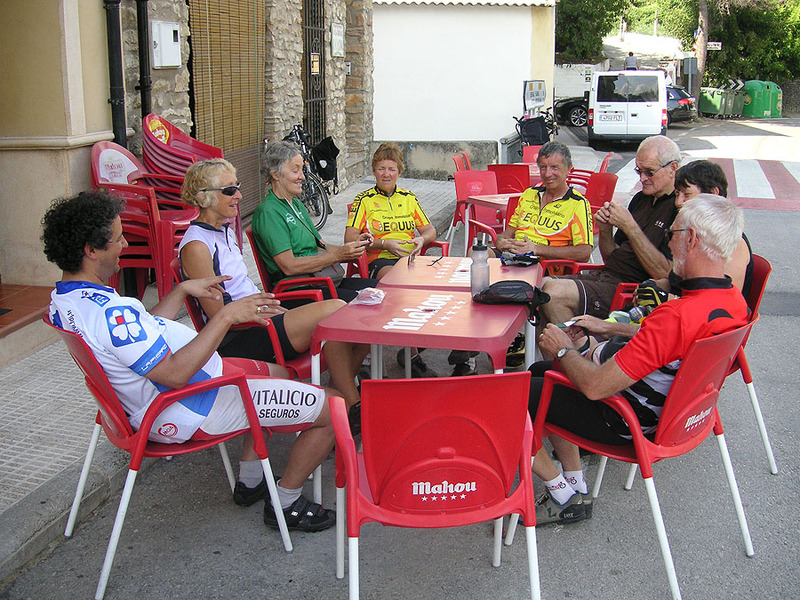 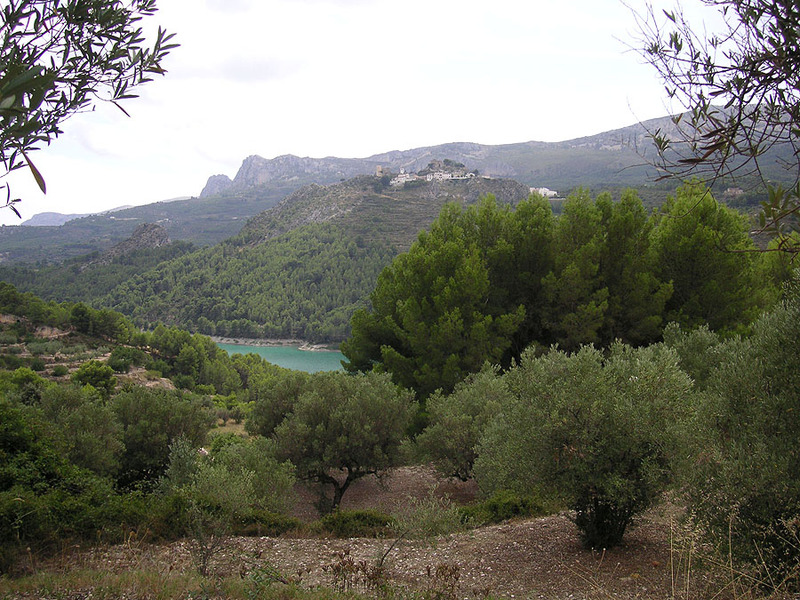 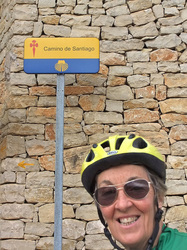 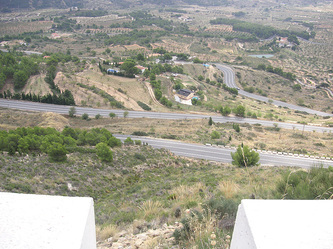 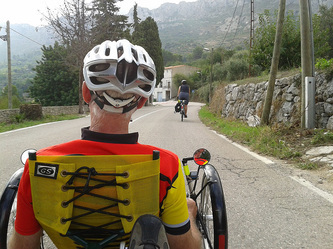 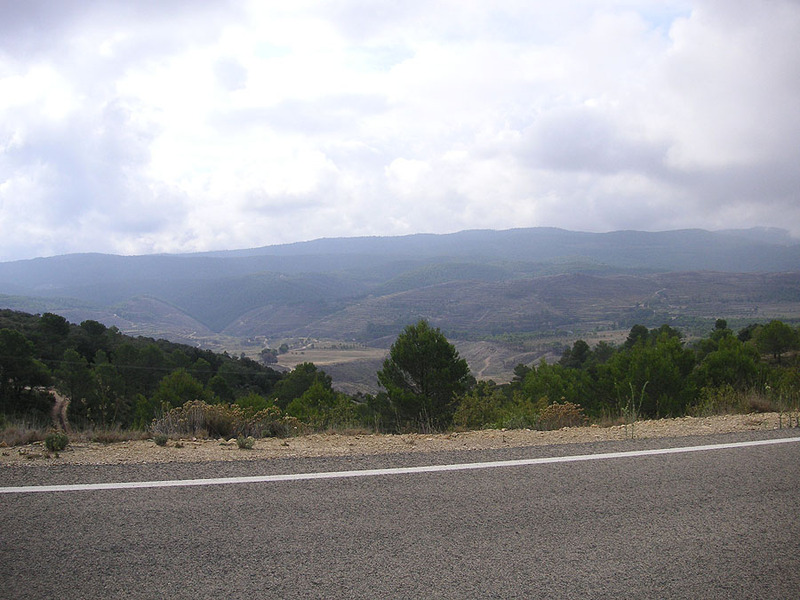 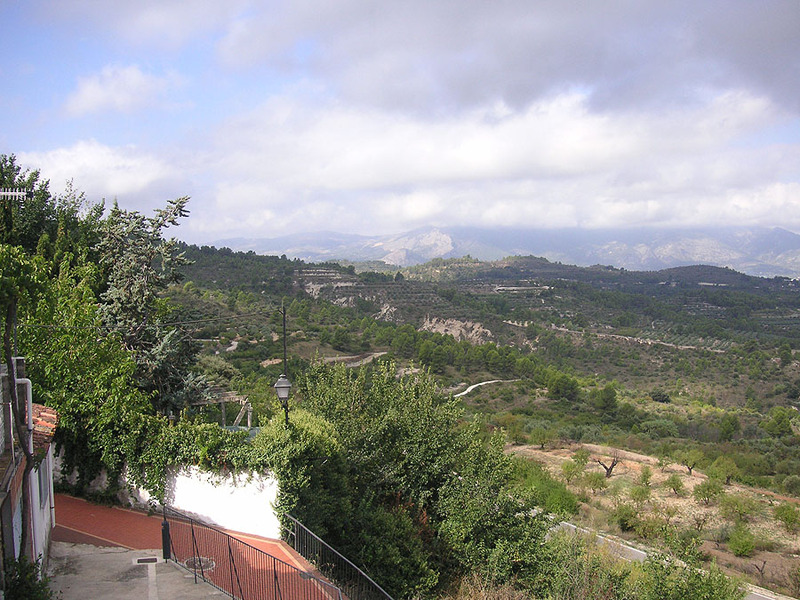 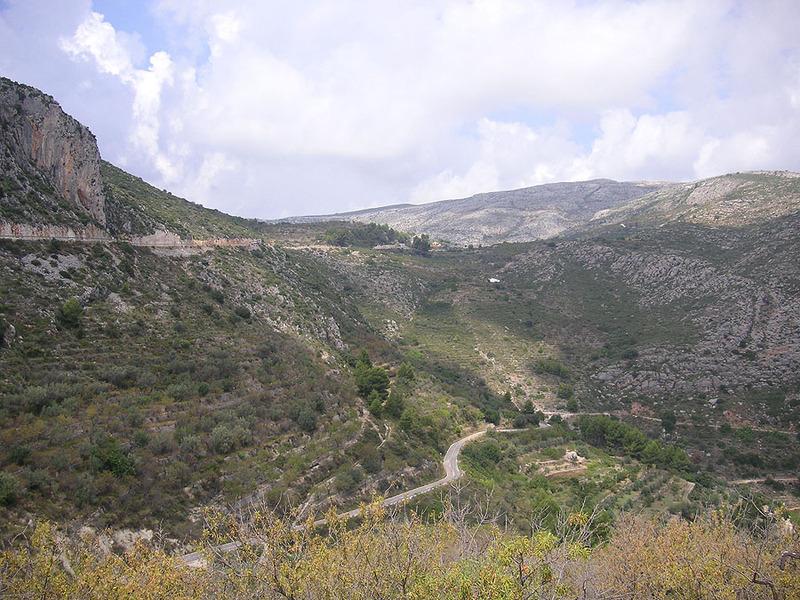 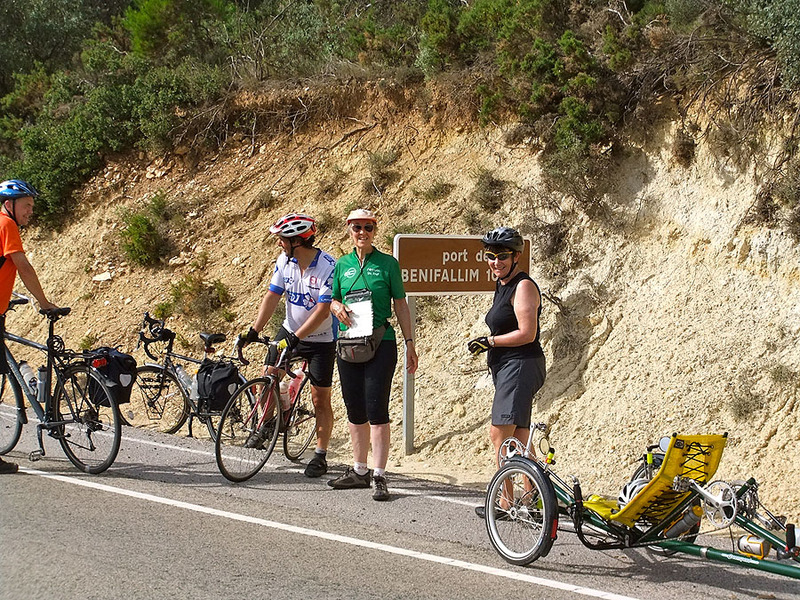 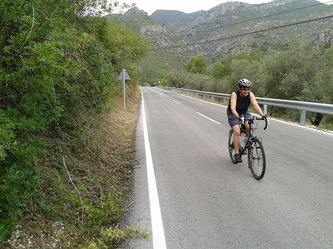 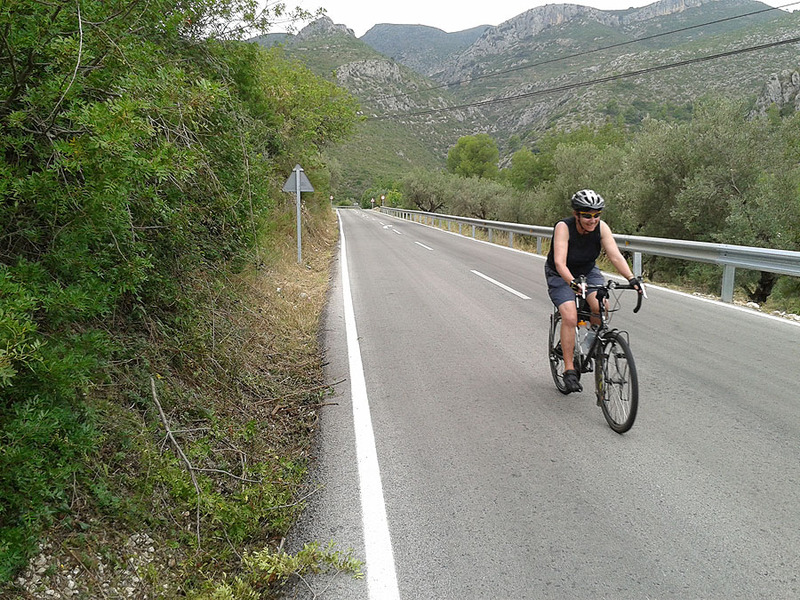 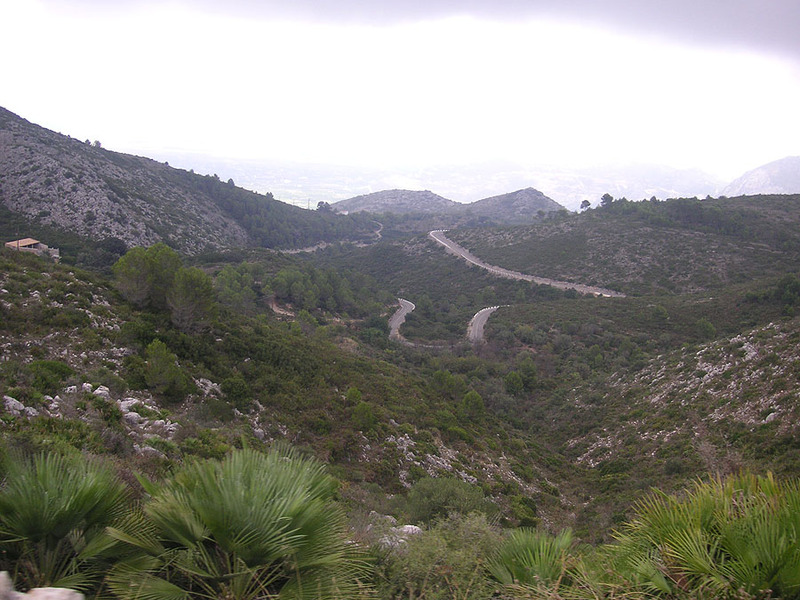 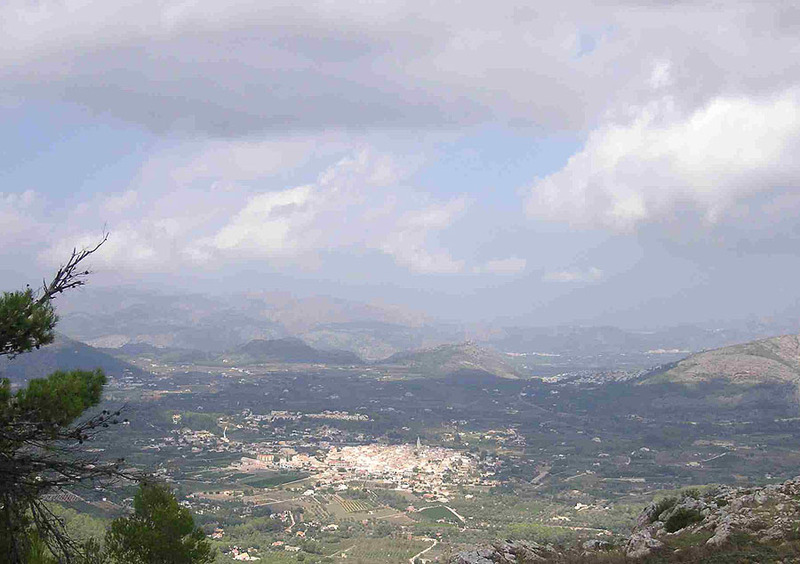 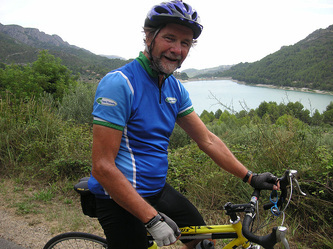 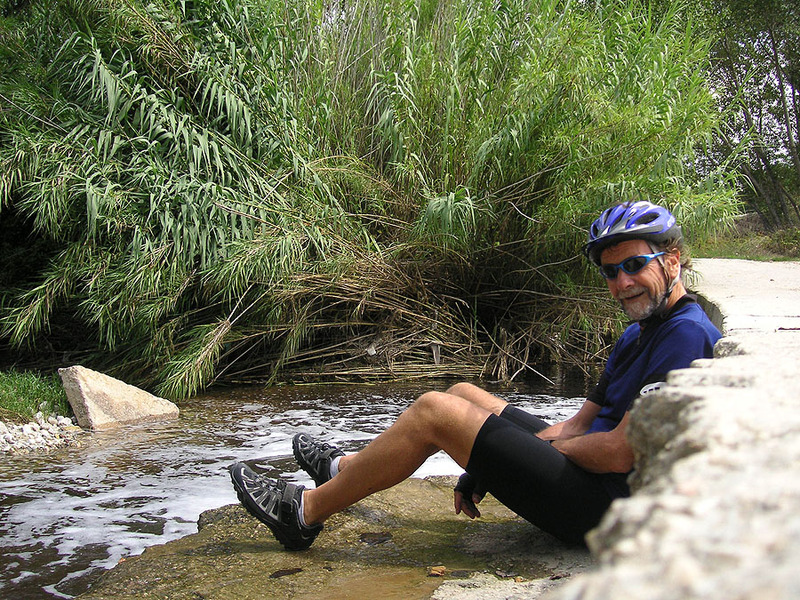 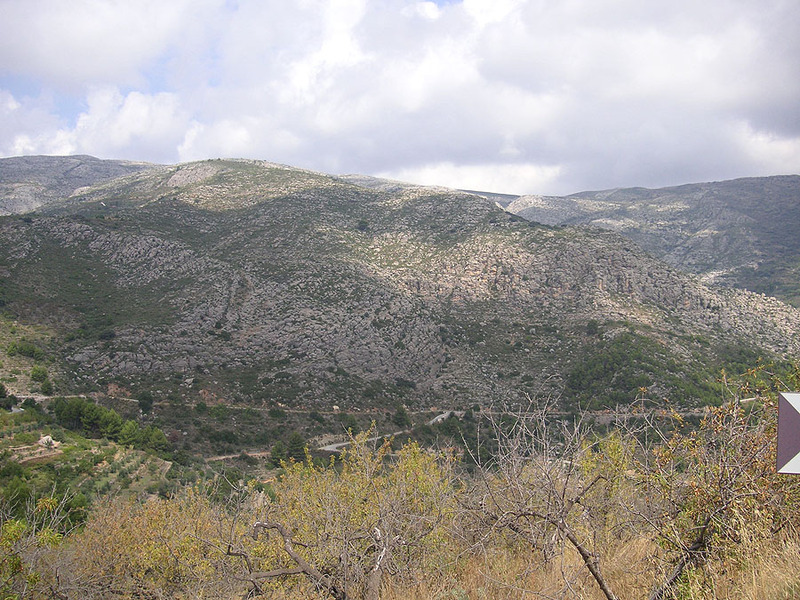 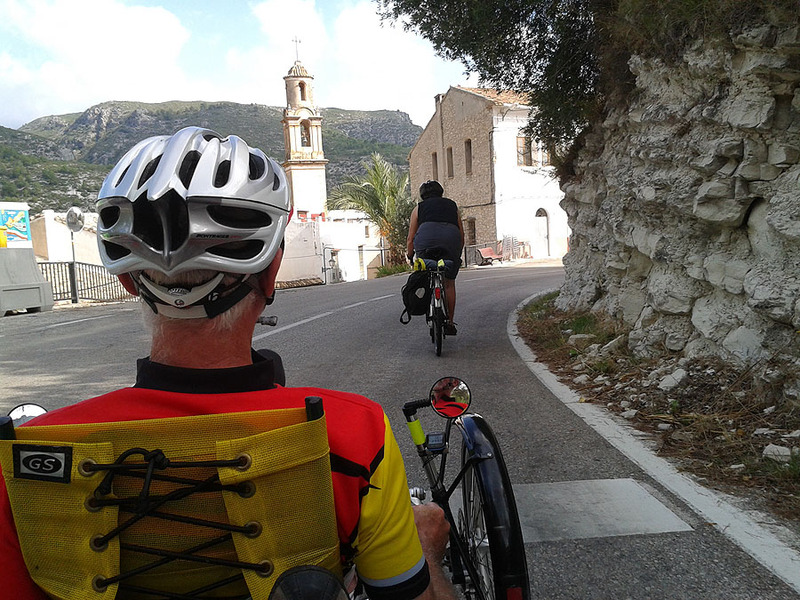 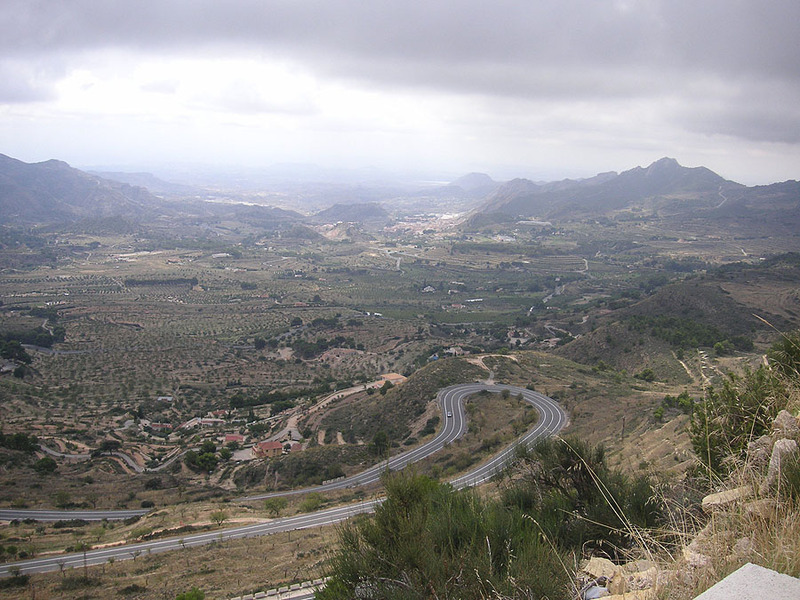 Cycling deep into the Sierra Aitana through remote hilly landscapes unchanged for centuries. 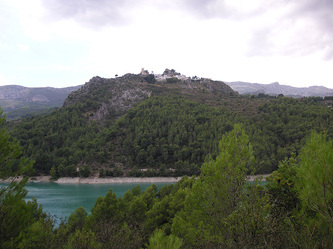 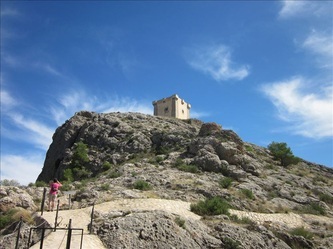 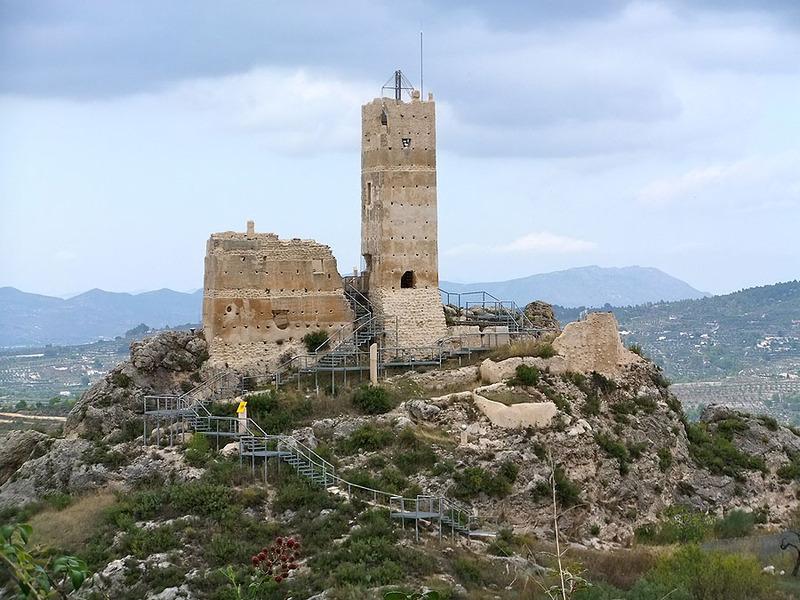 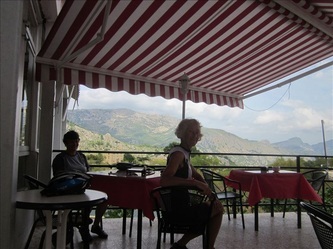 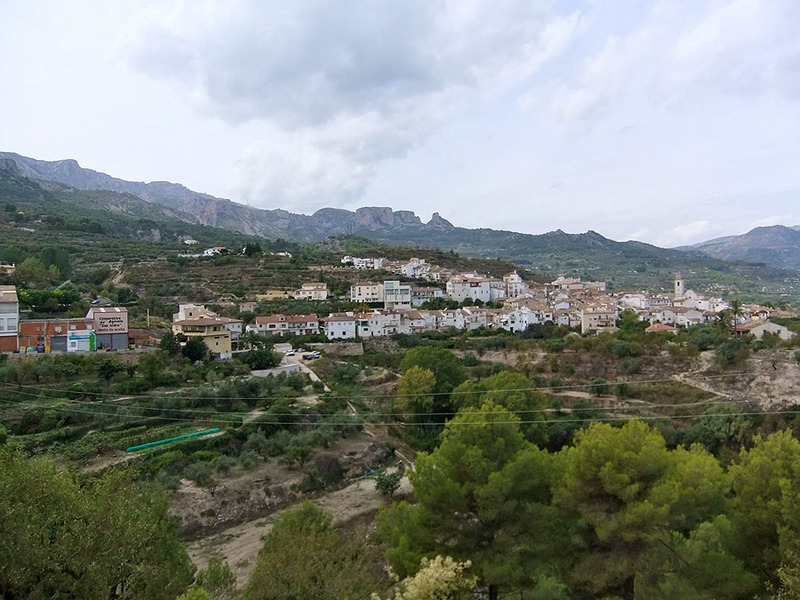 Visit to the amazing architecture and scenery of Guadalest with its incredible castle and breathtaking views into the valley towards the Mediterranean. 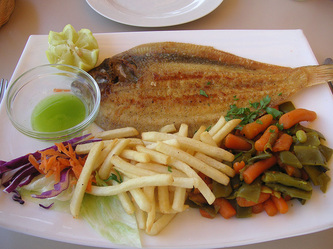 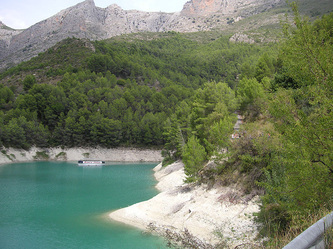 Return around lake. 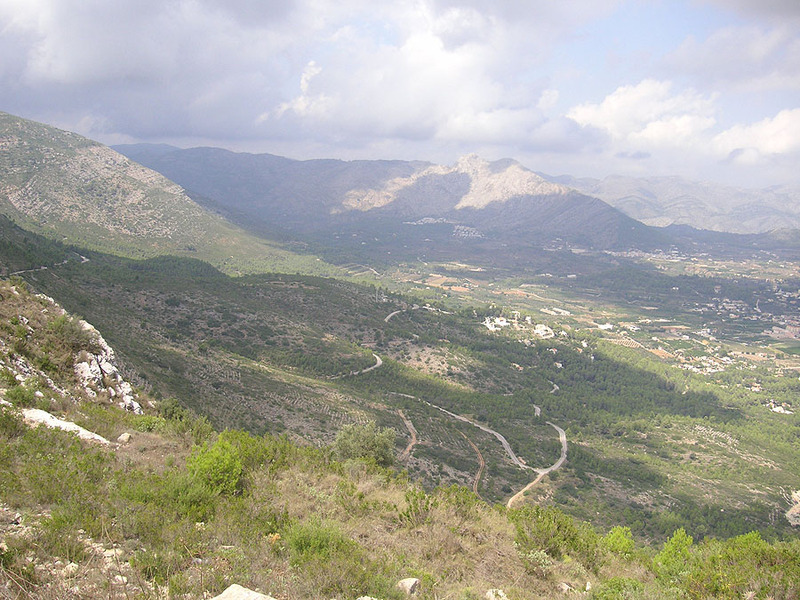 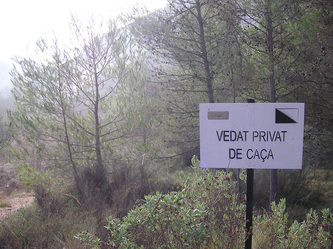 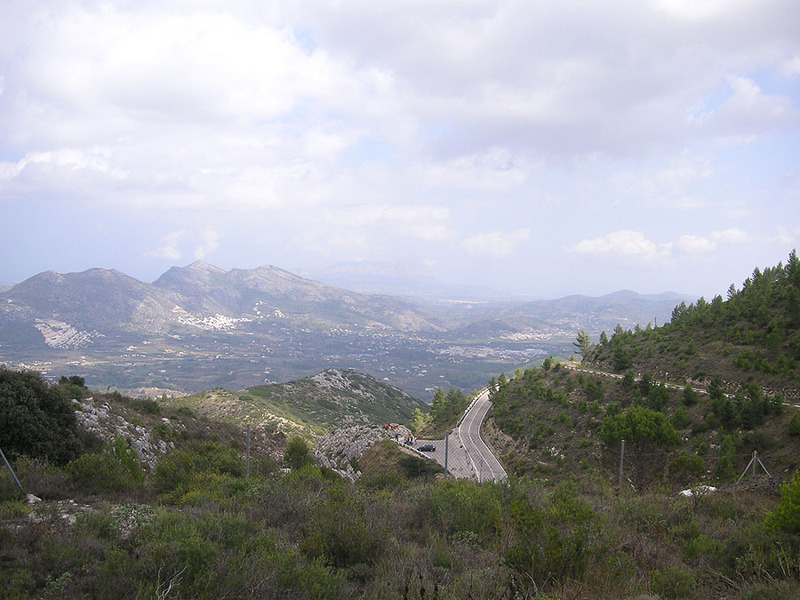 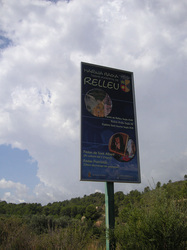 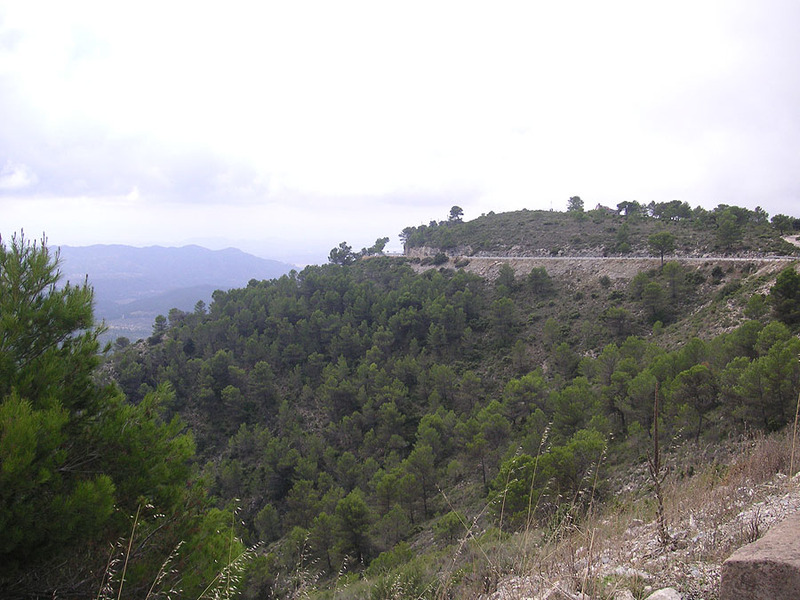 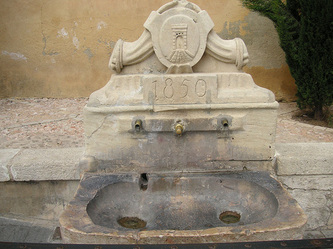 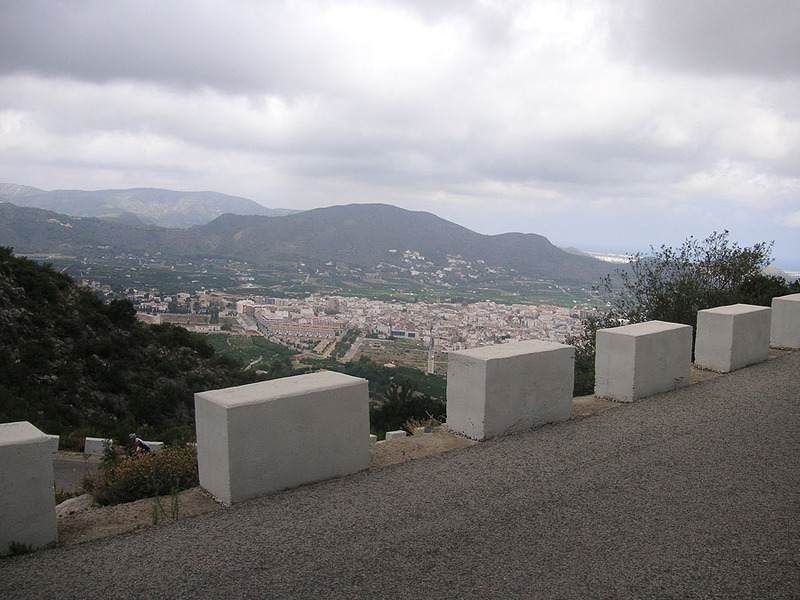 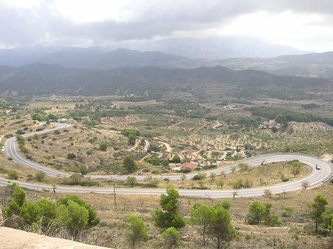 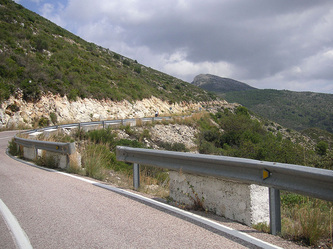 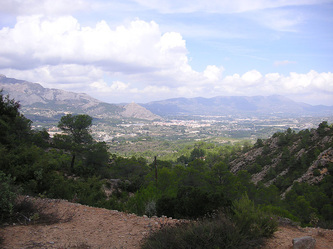 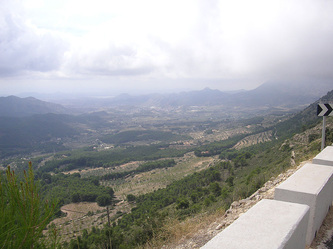 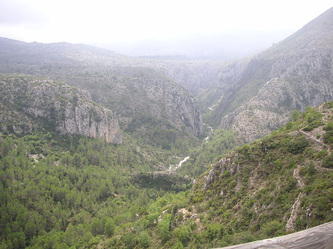 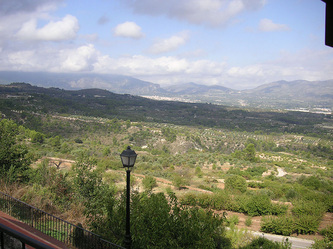 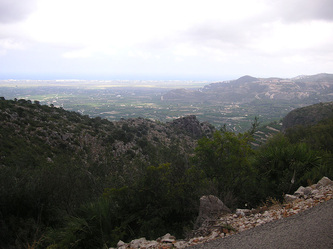 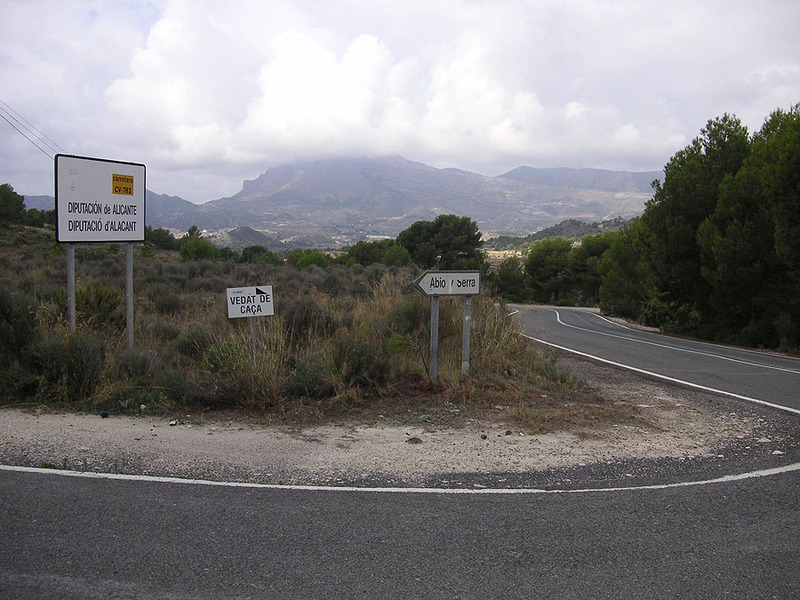 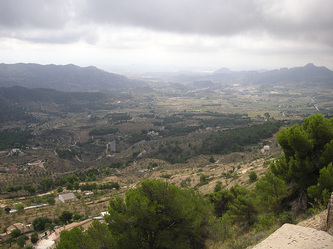 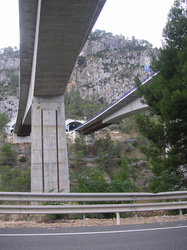 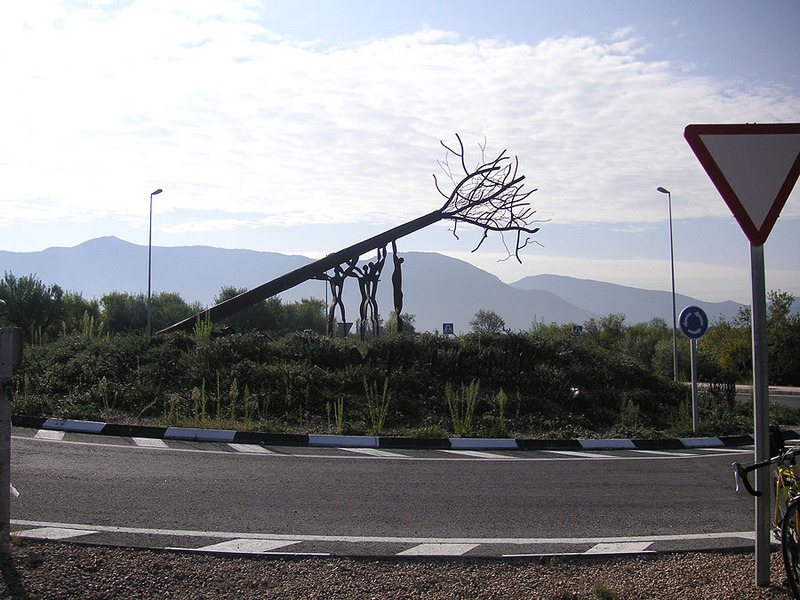 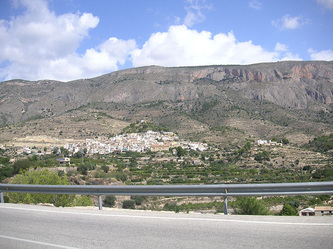 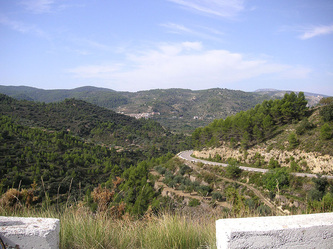 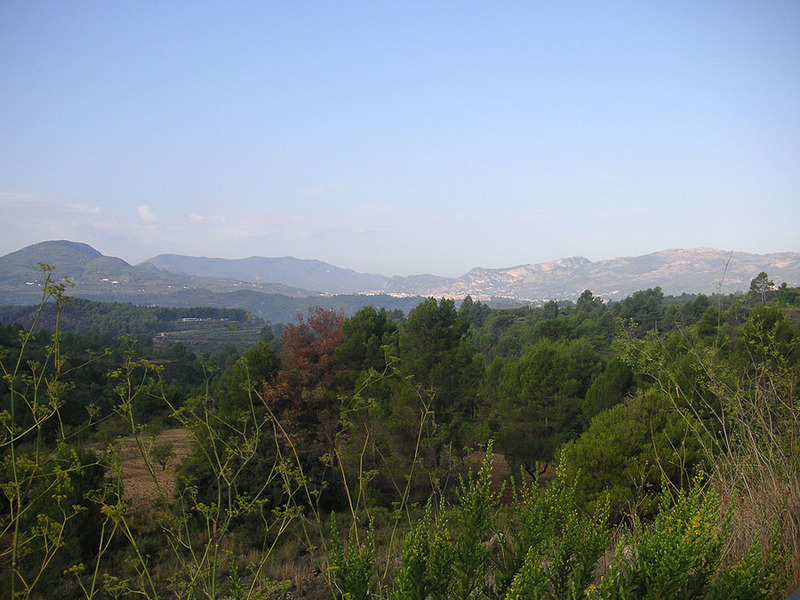 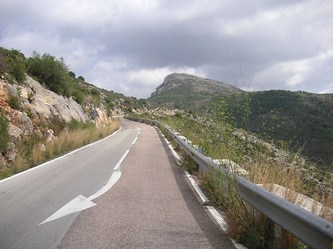 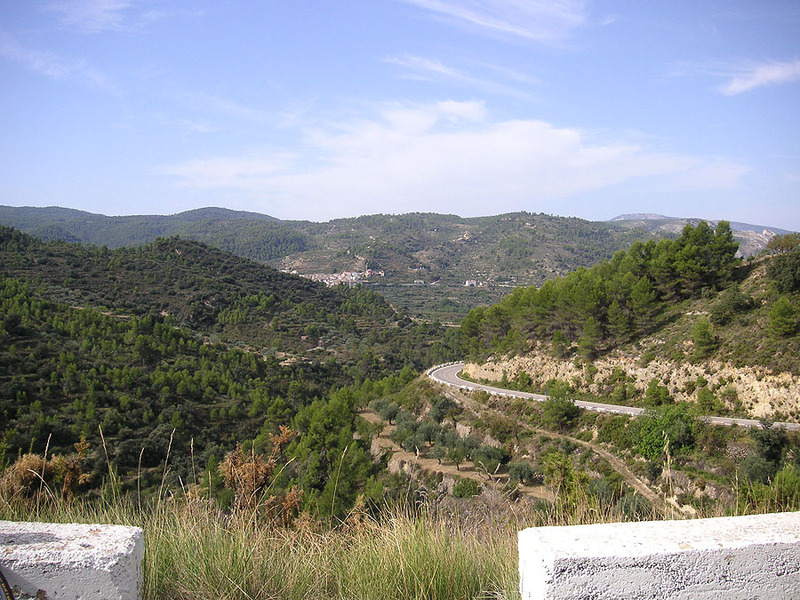 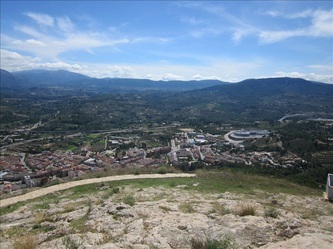 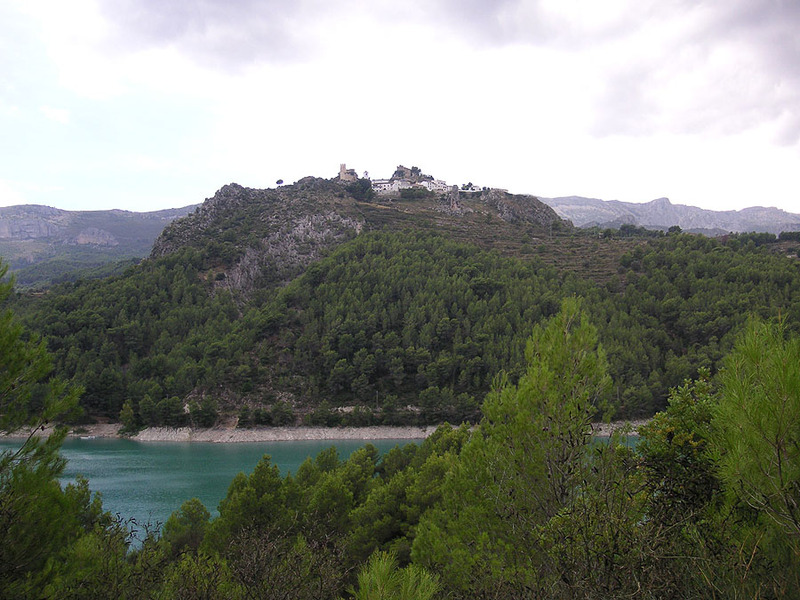 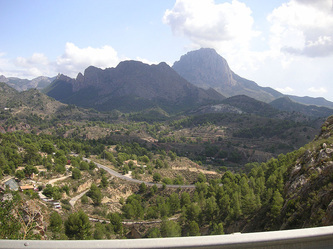 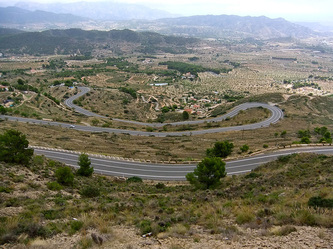 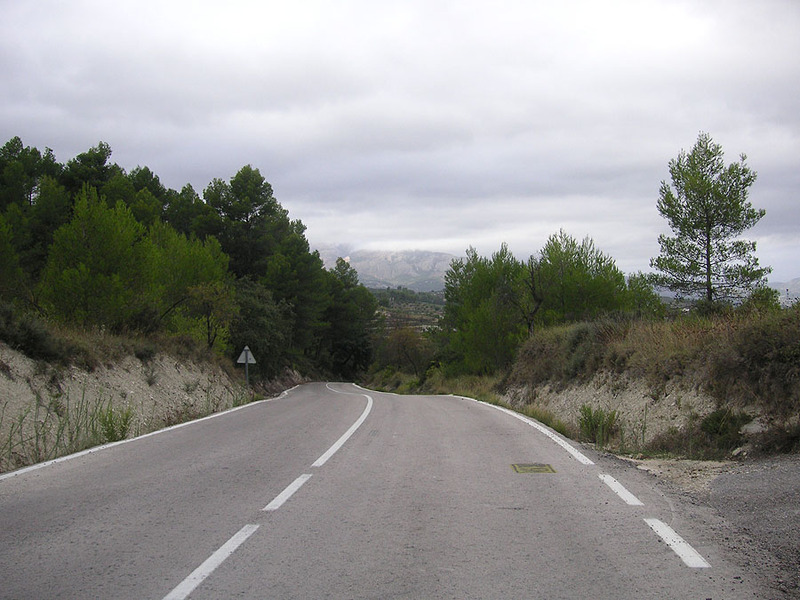 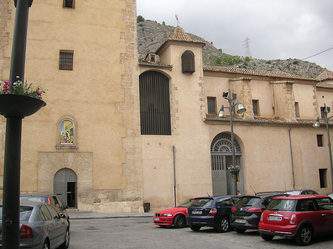 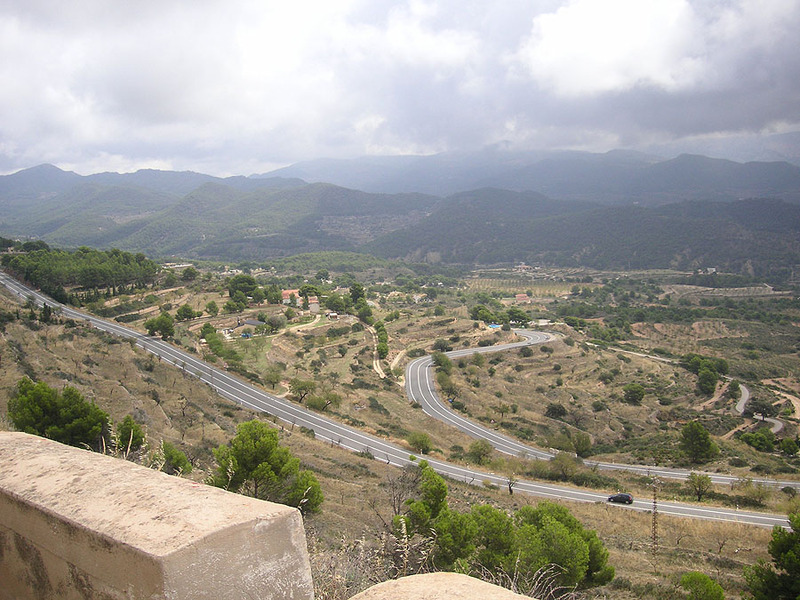 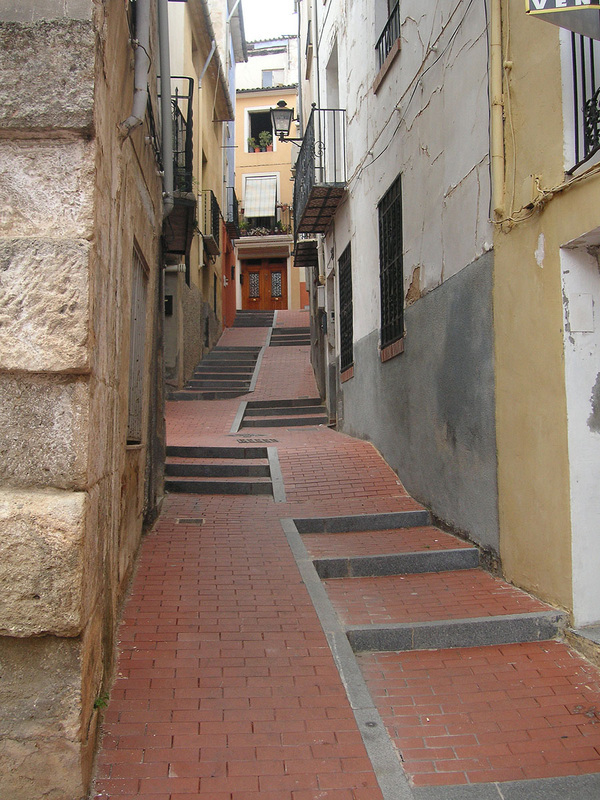 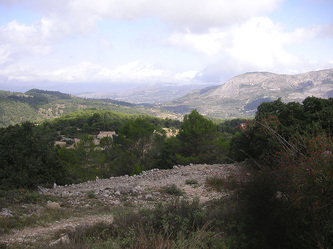 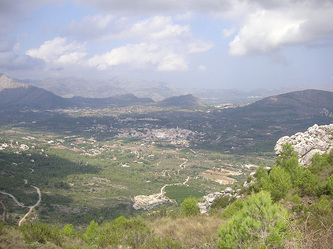 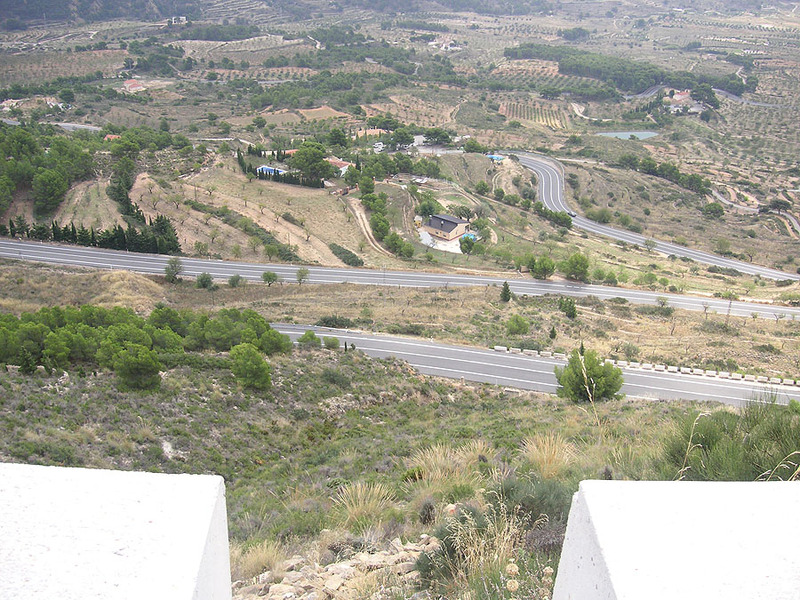 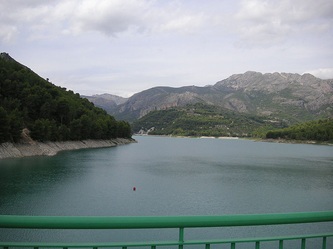 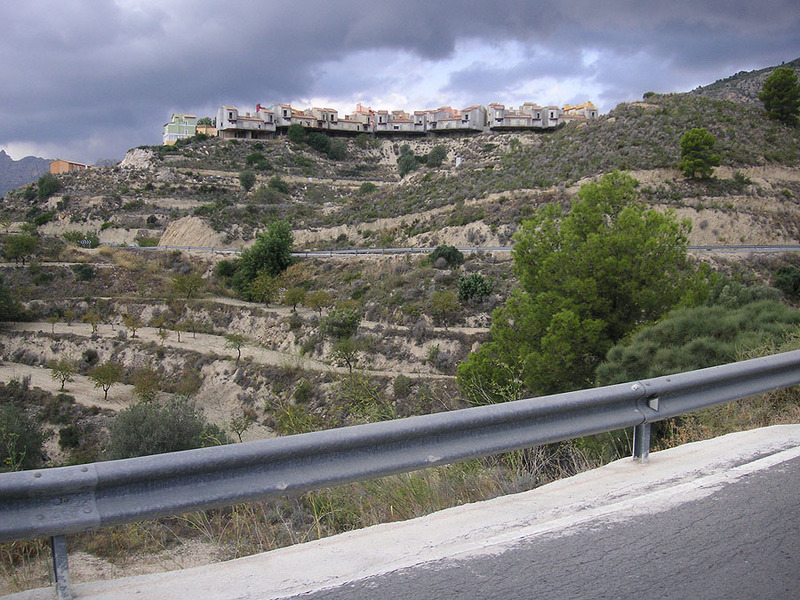 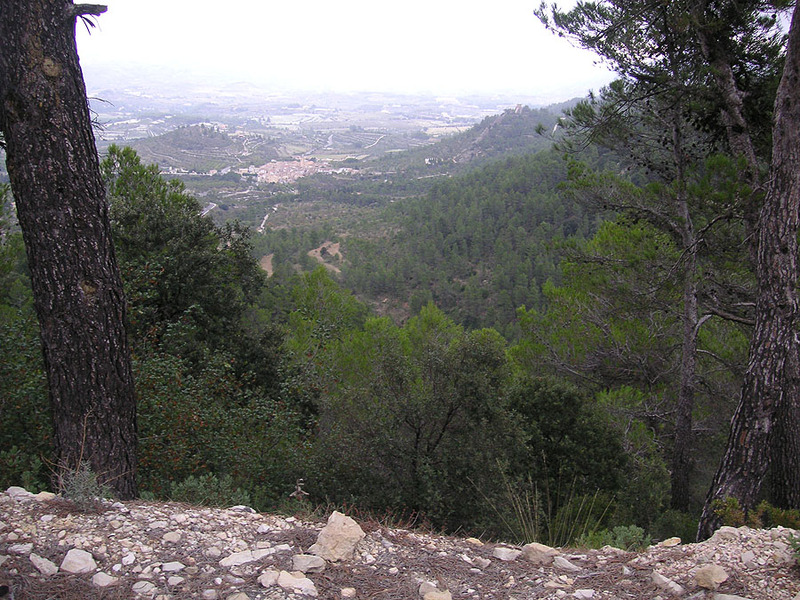 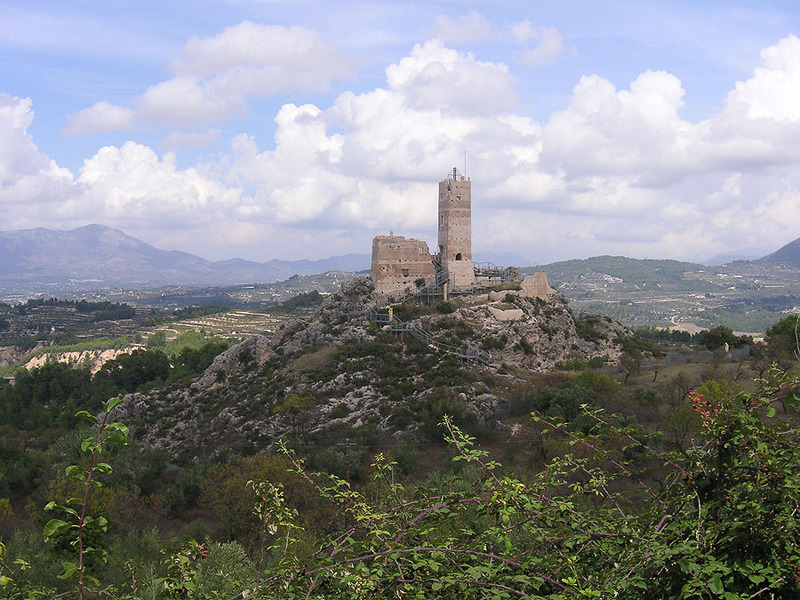 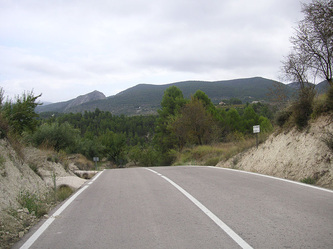 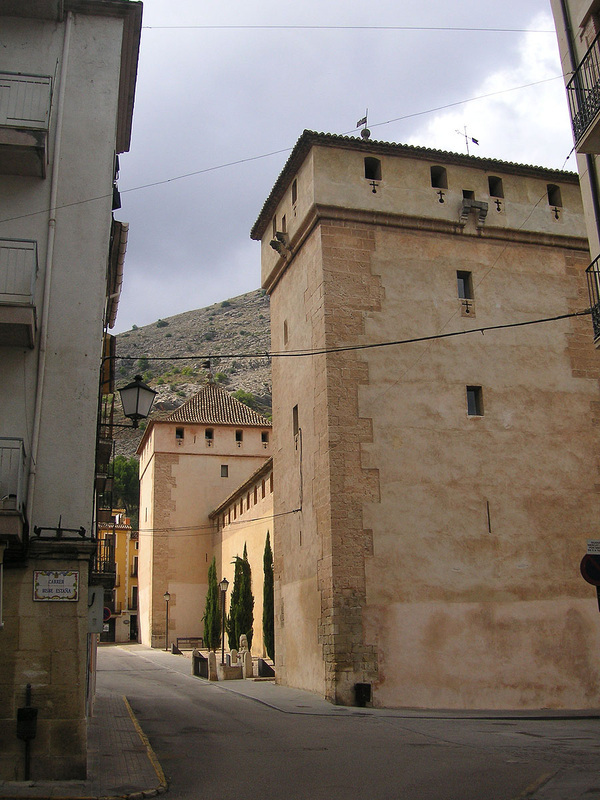 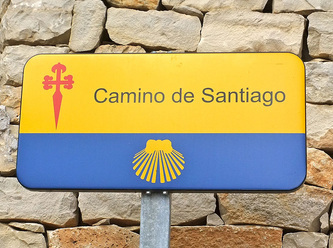 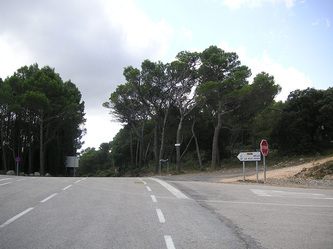 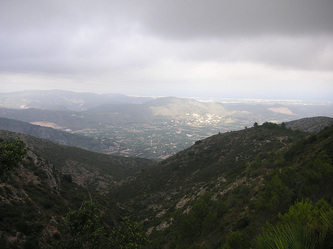 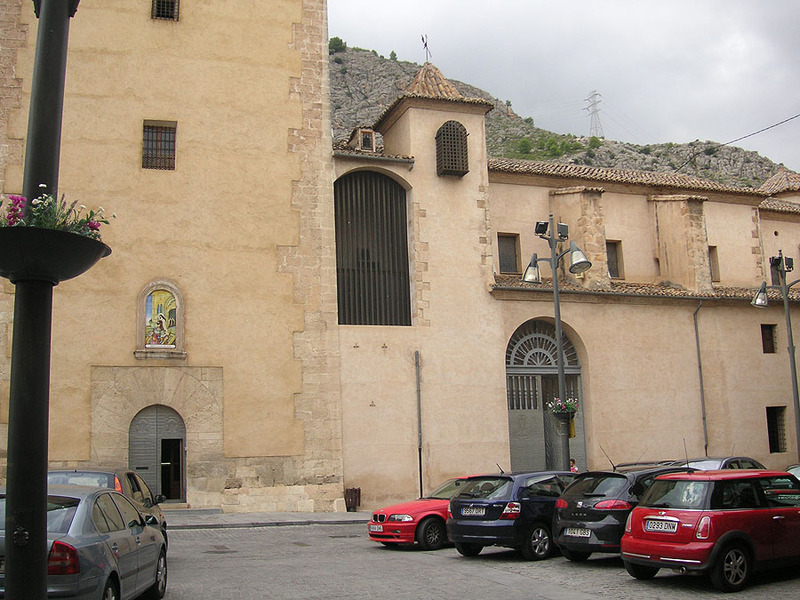 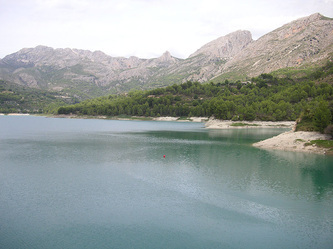 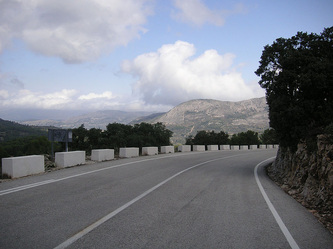 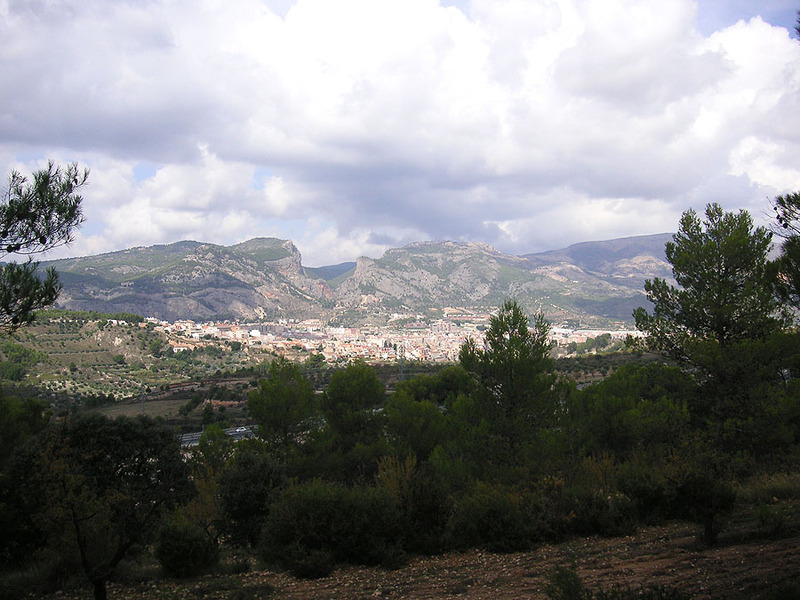 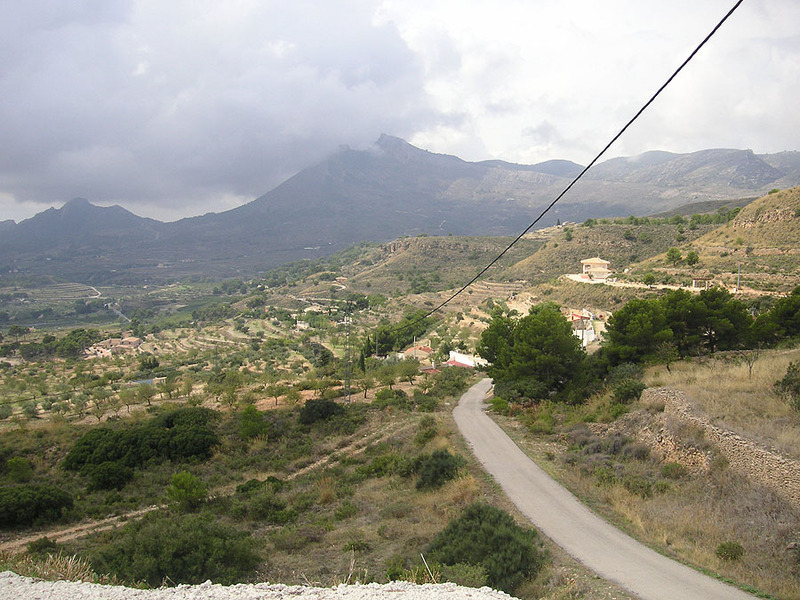 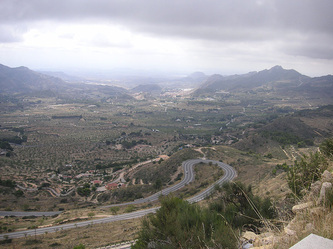 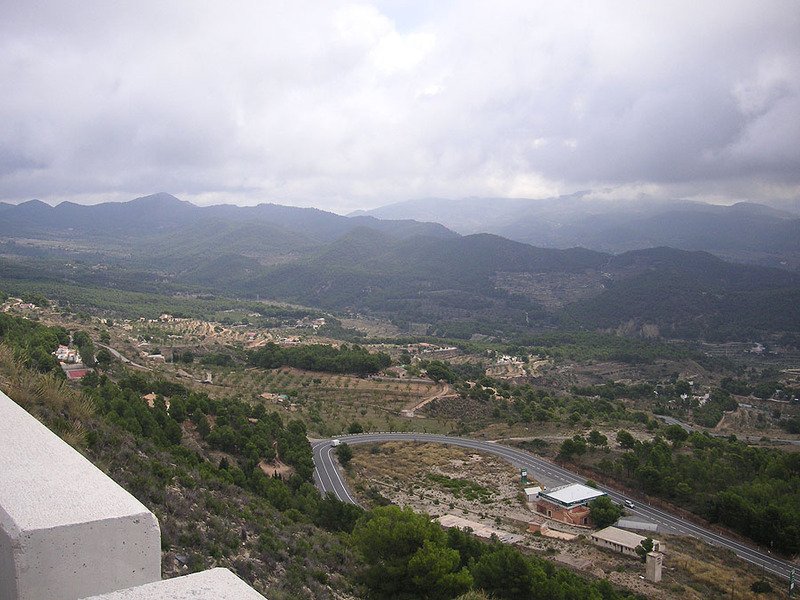 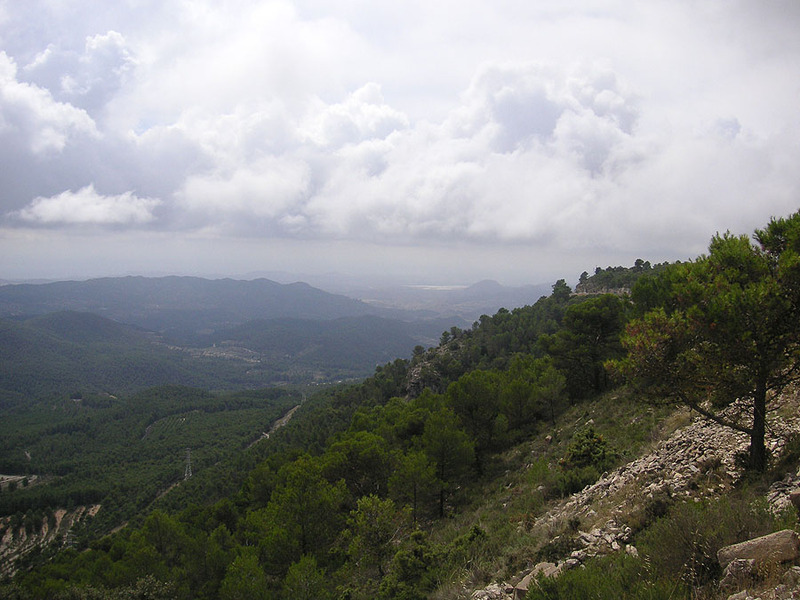 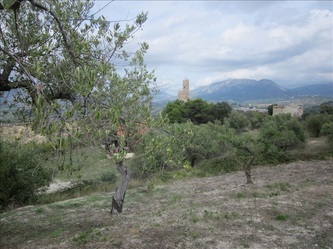 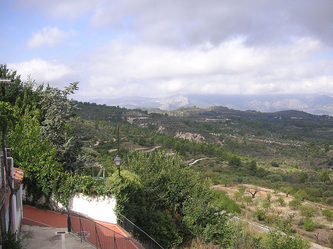 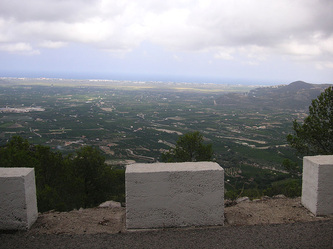 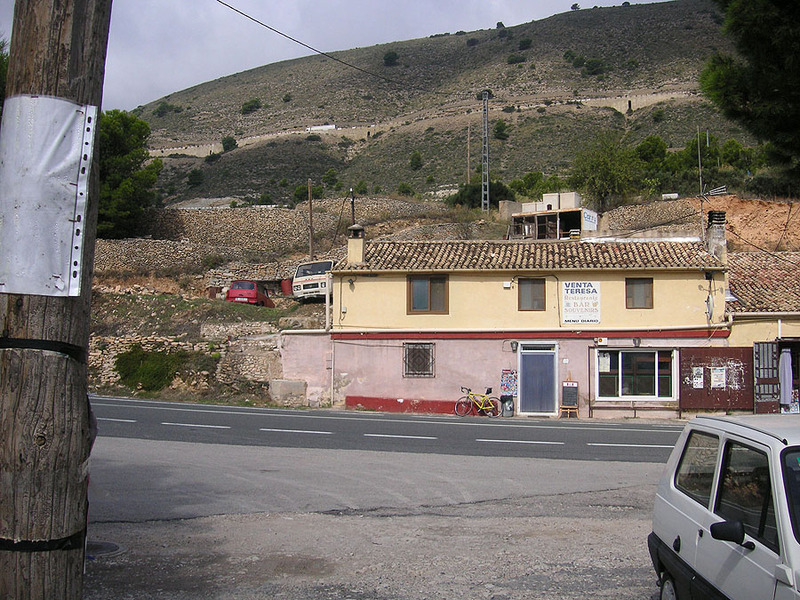 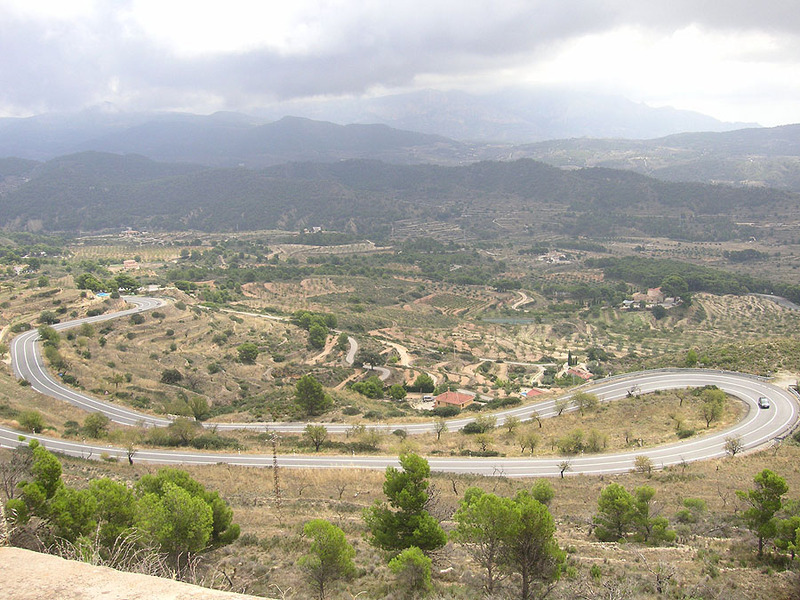 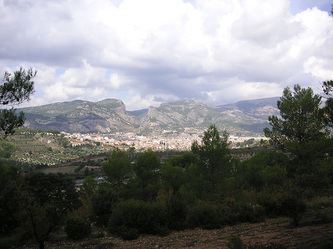 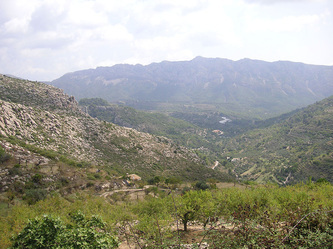 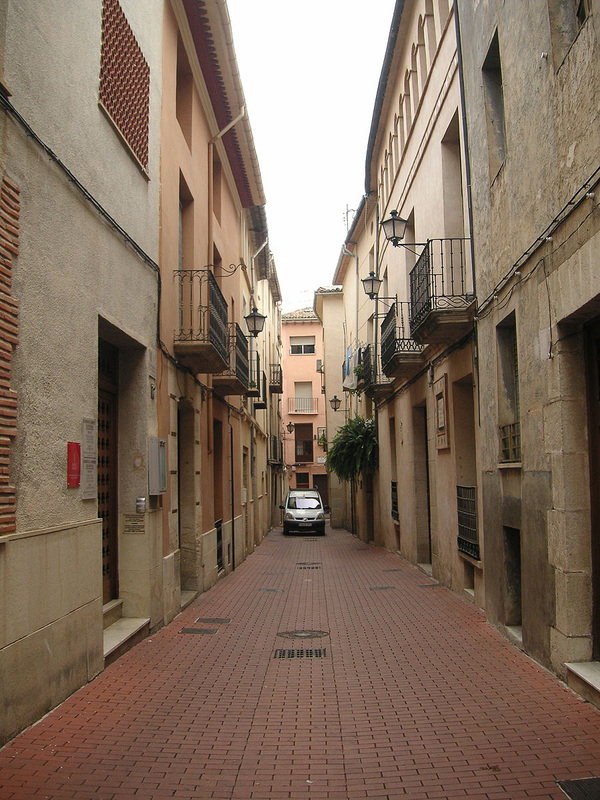 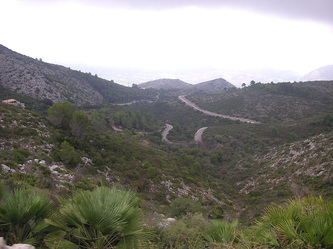 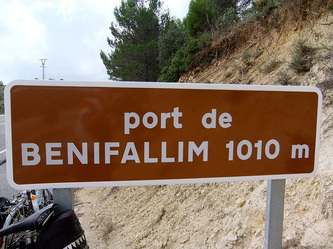 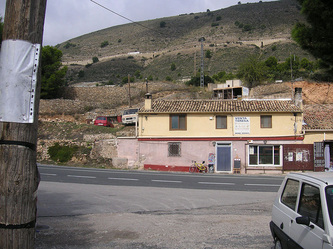 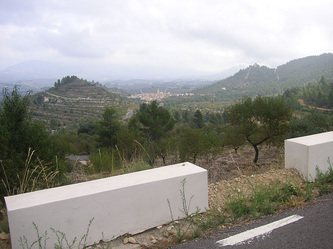 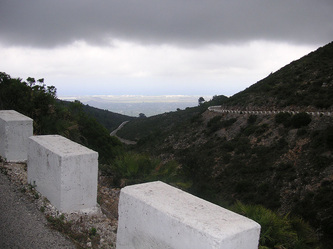 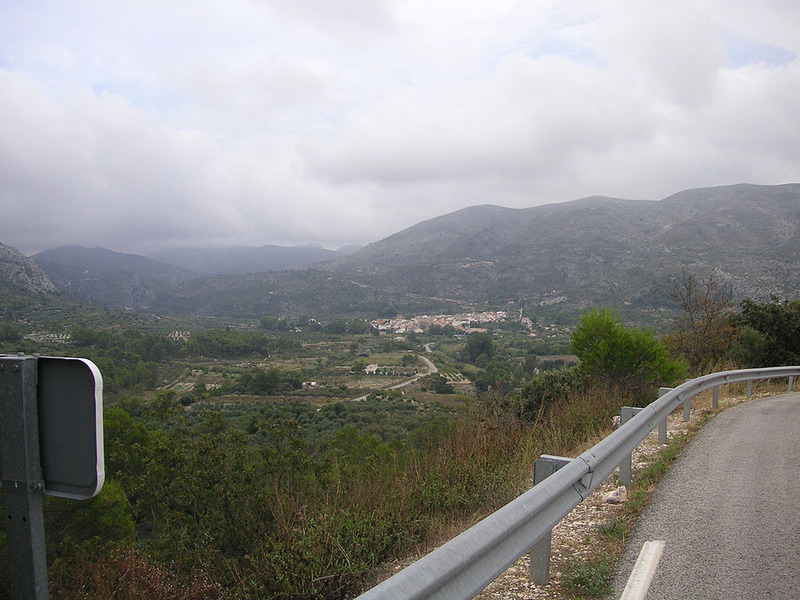 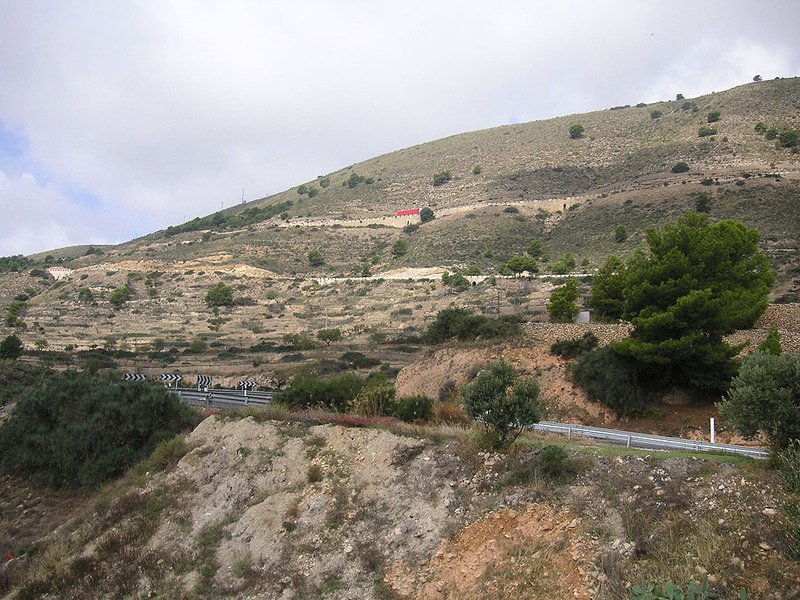 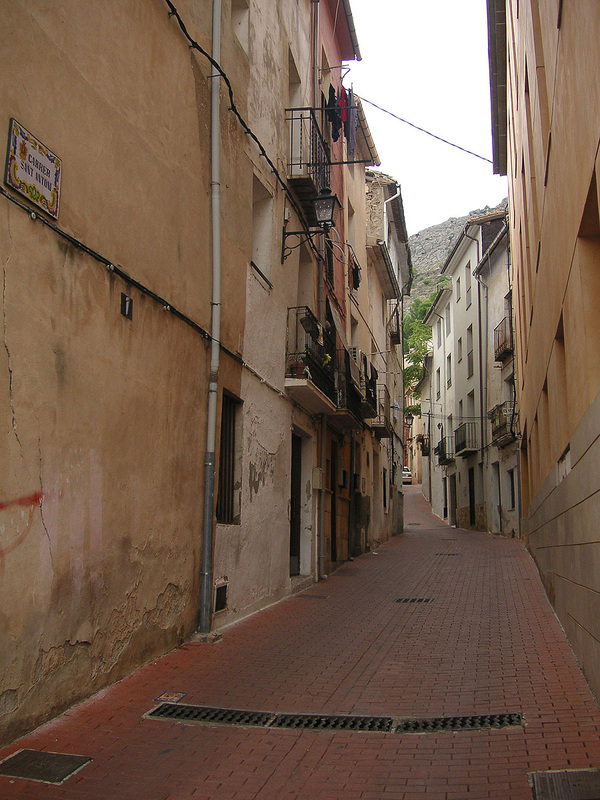 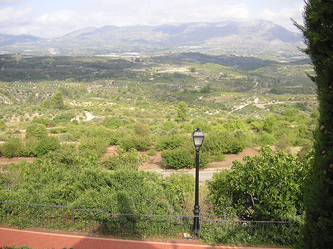 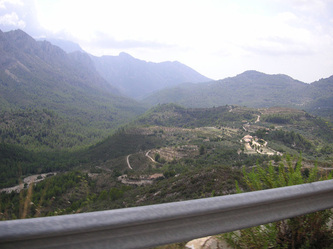 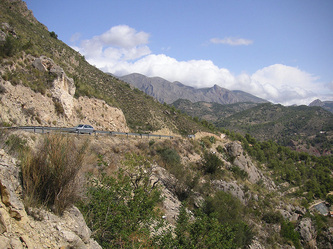 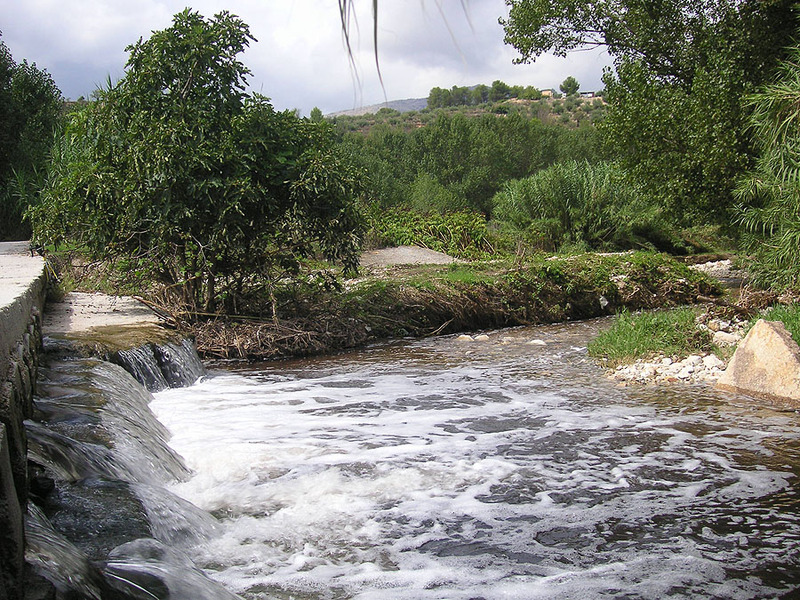 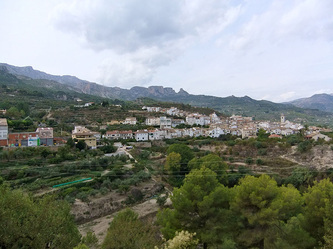 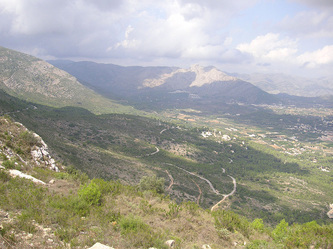 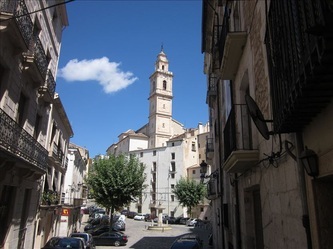 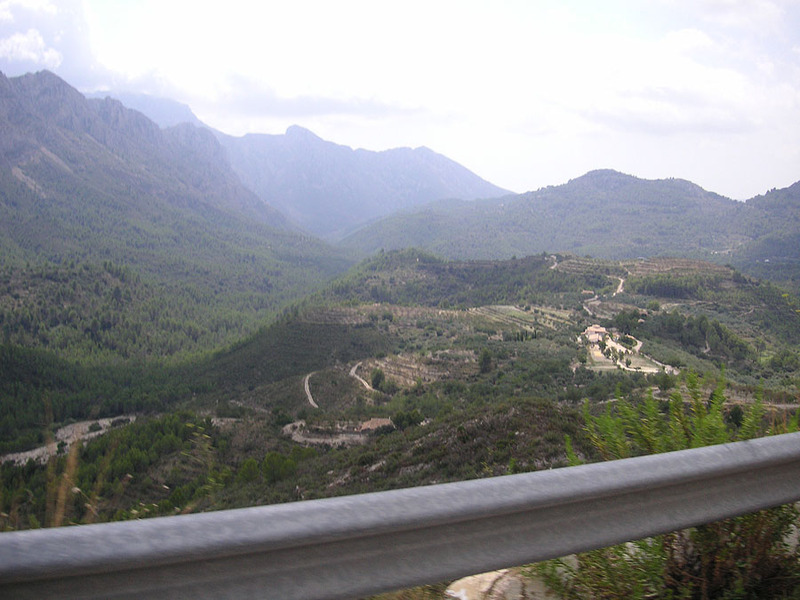 Through the Vall de Gallinera, an ancient route to the inland area used by the Moors, then through the town of Pego and on through the remote Val de Ebo. 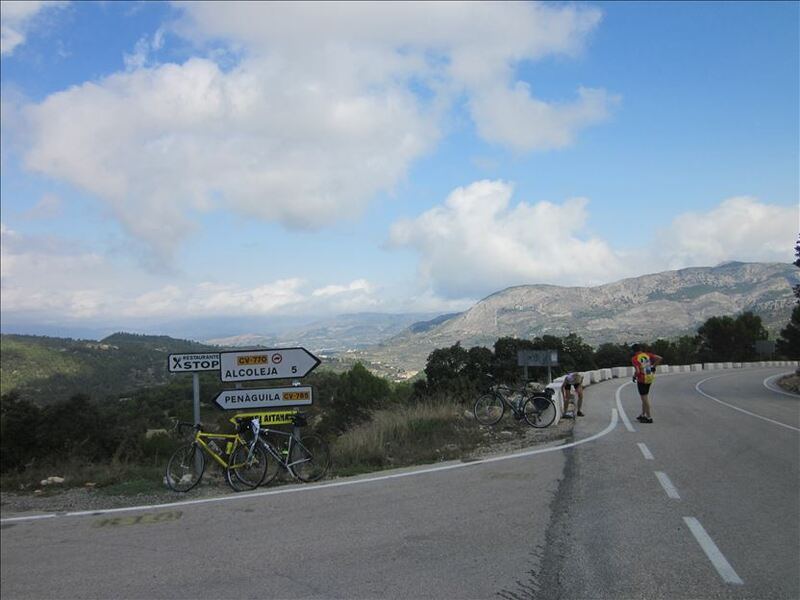 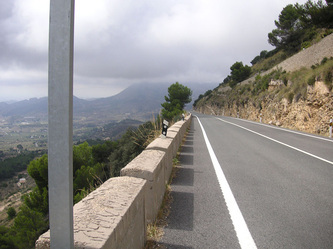 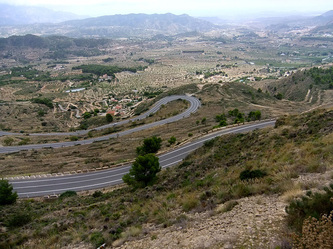 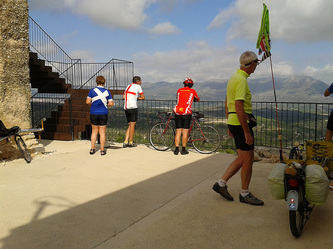 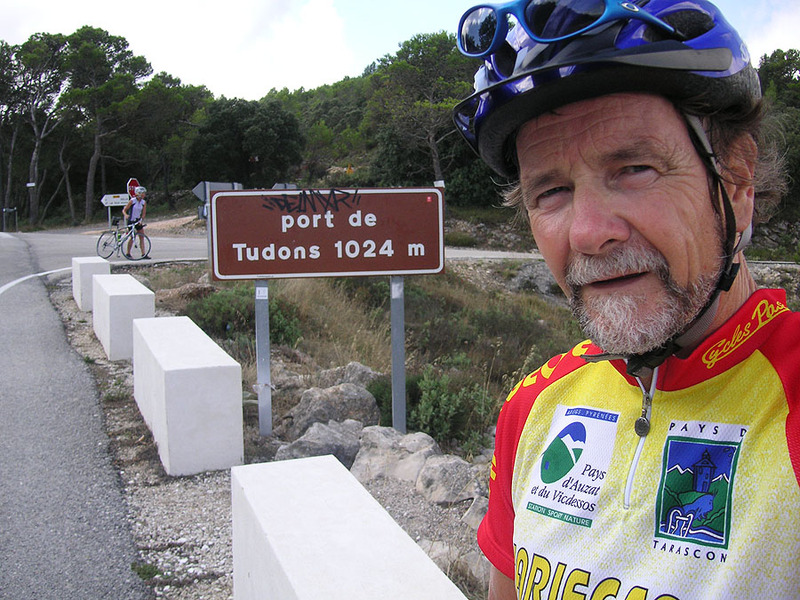 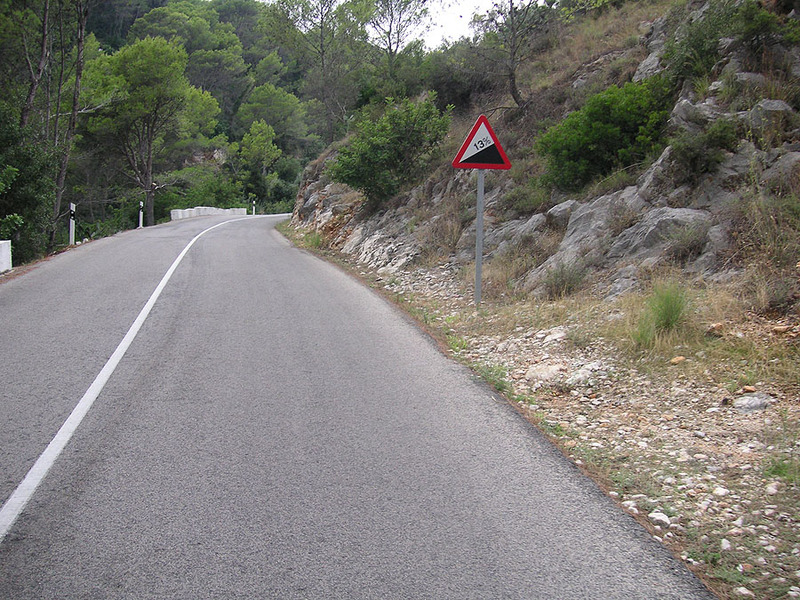 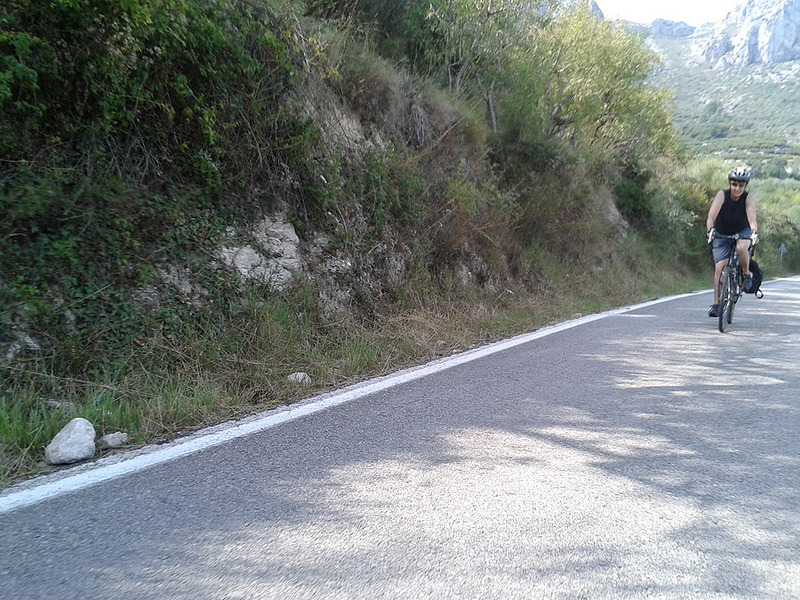 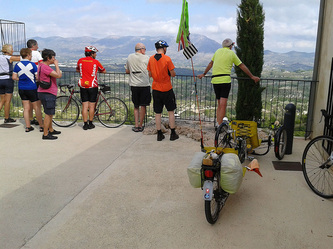 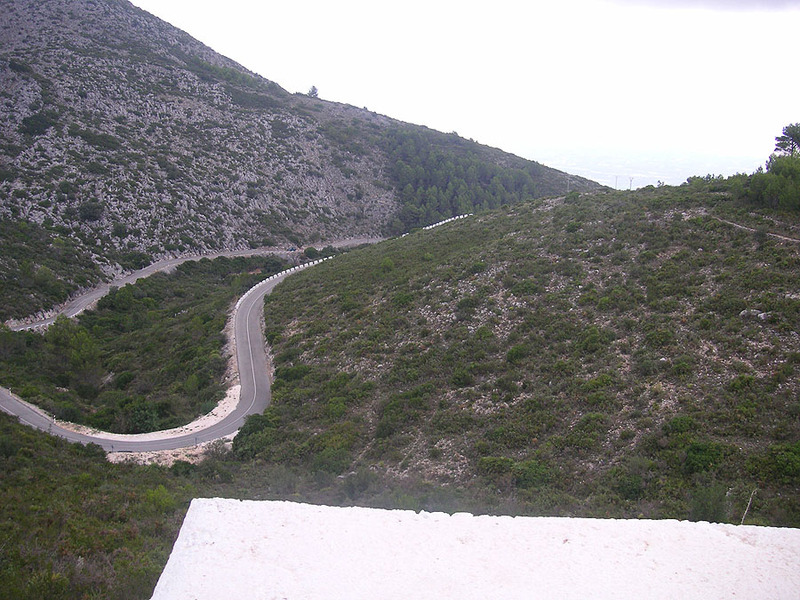 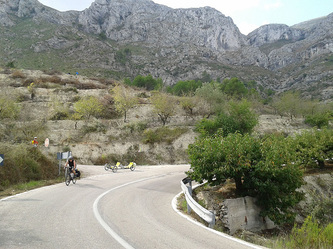 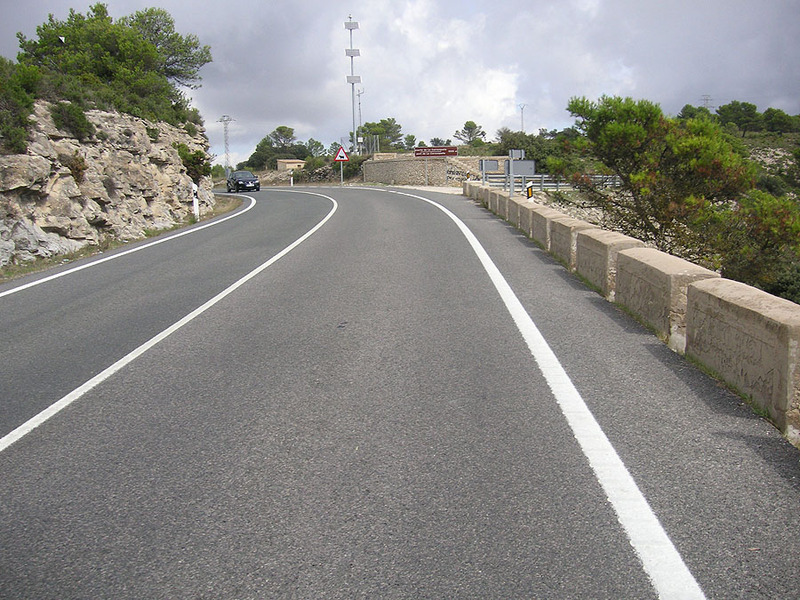 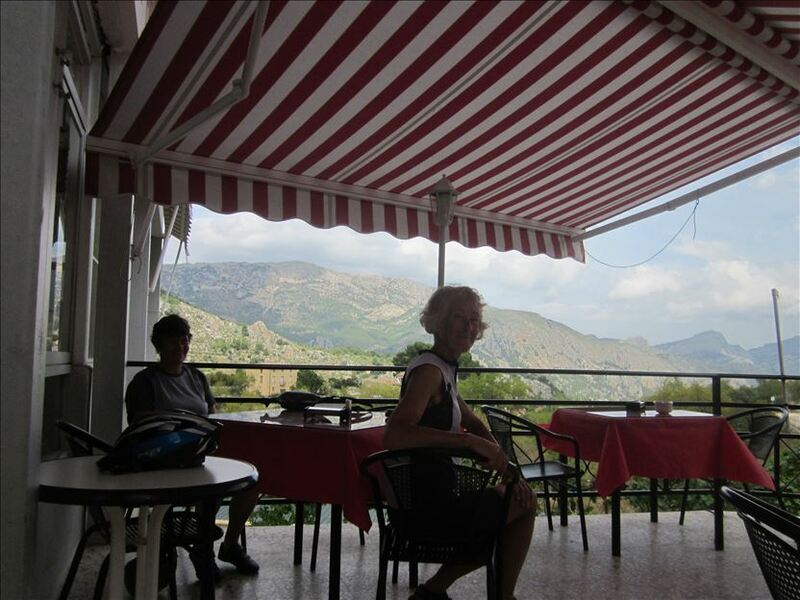 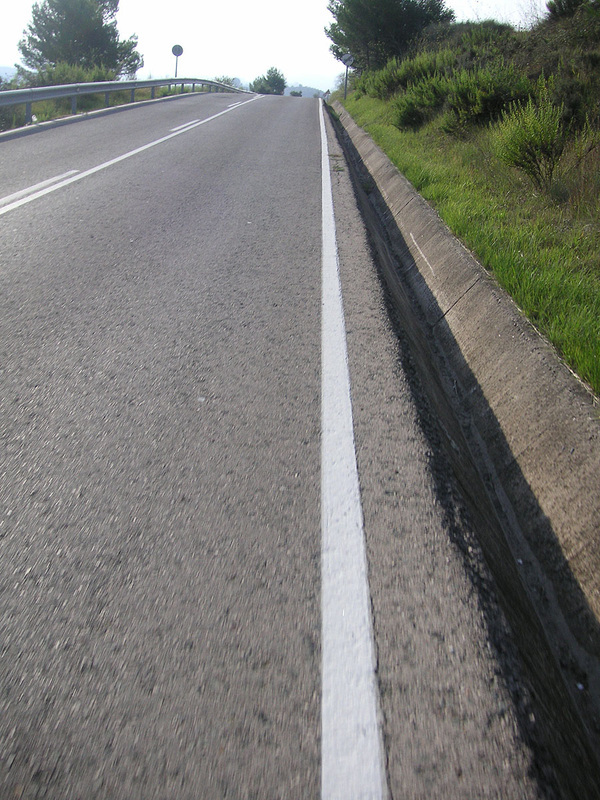 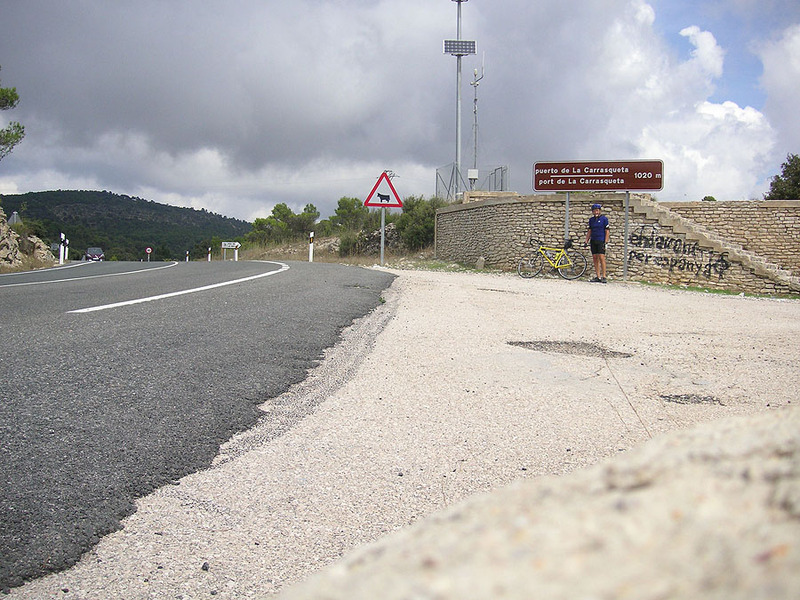 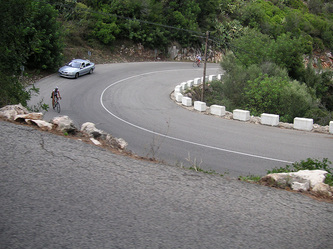 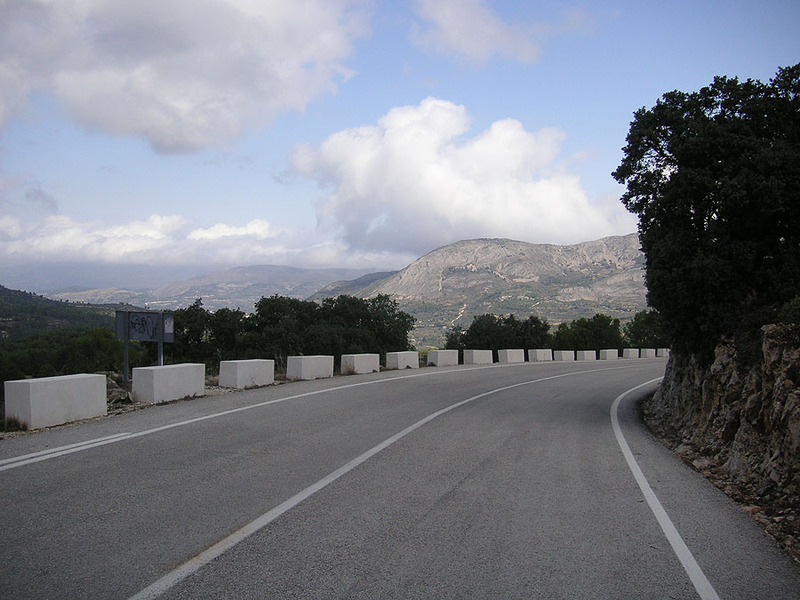 Challenging ride to take in the Col de Rates via Quatretondeta, Castell de Castelles, Parcent and Tarbena. 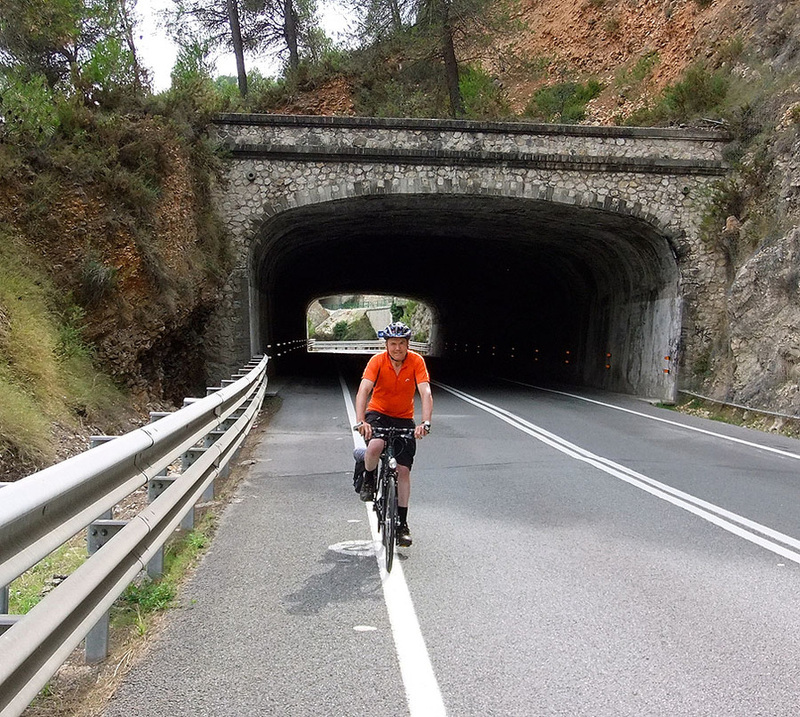 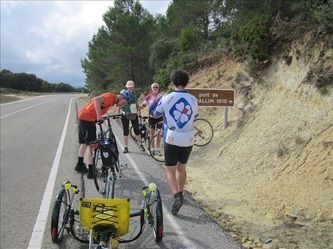 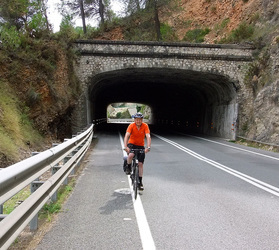 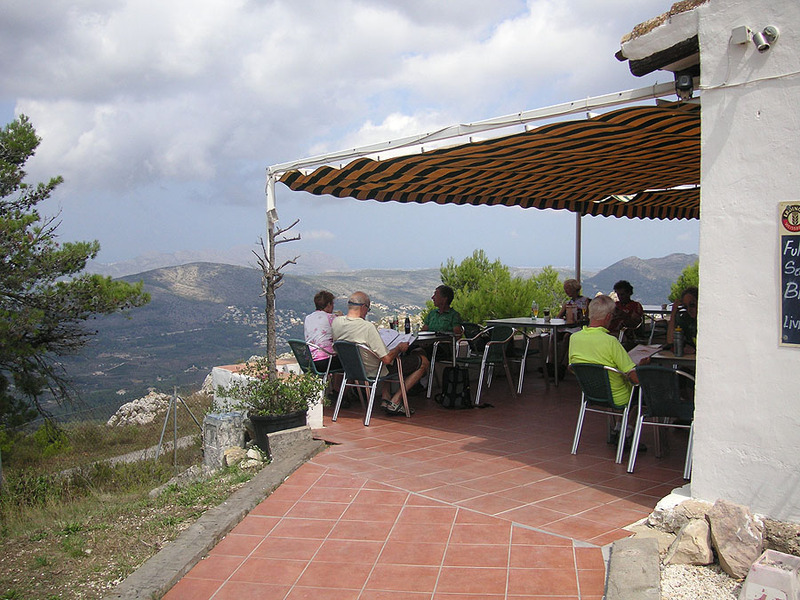 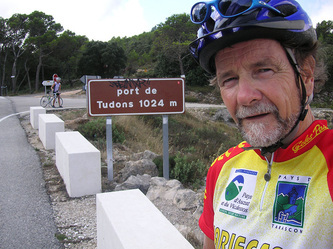 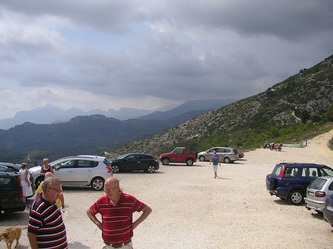 Deep into the Sierra Aitana to climb the famous Port de Tudons (Vuelta a España climb) followed by a long descent to Sella and lunch at Relleu. 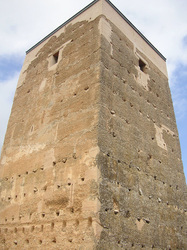 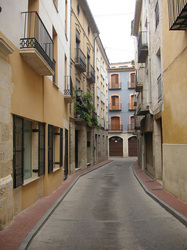 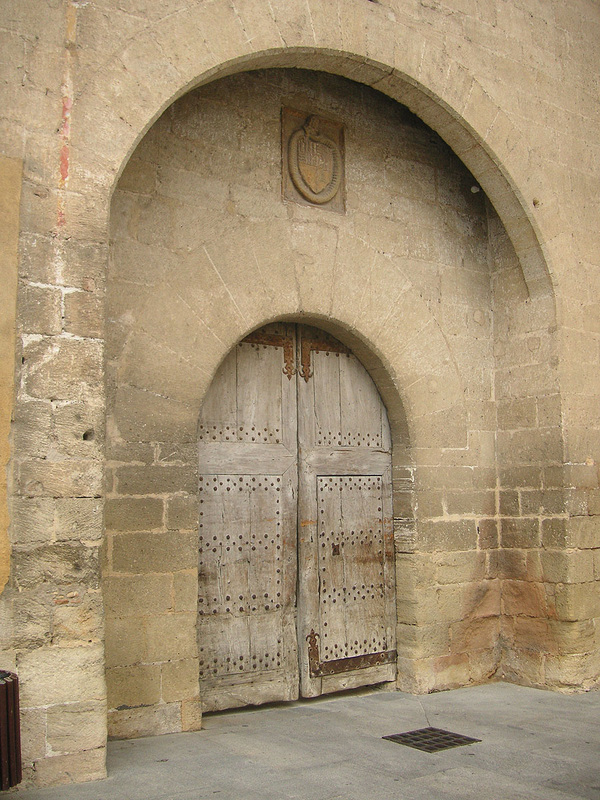 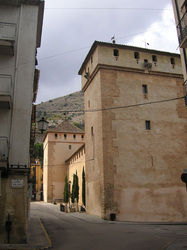 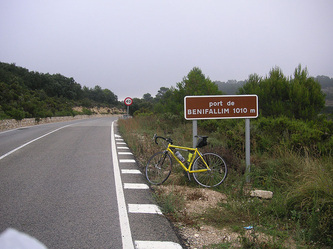 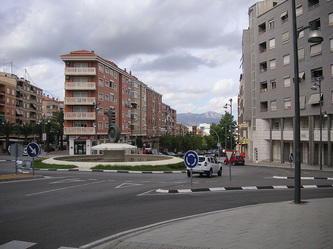 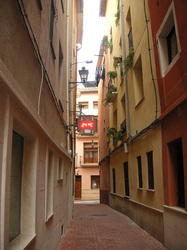 Return through Torre Manzanas and Benifallim. 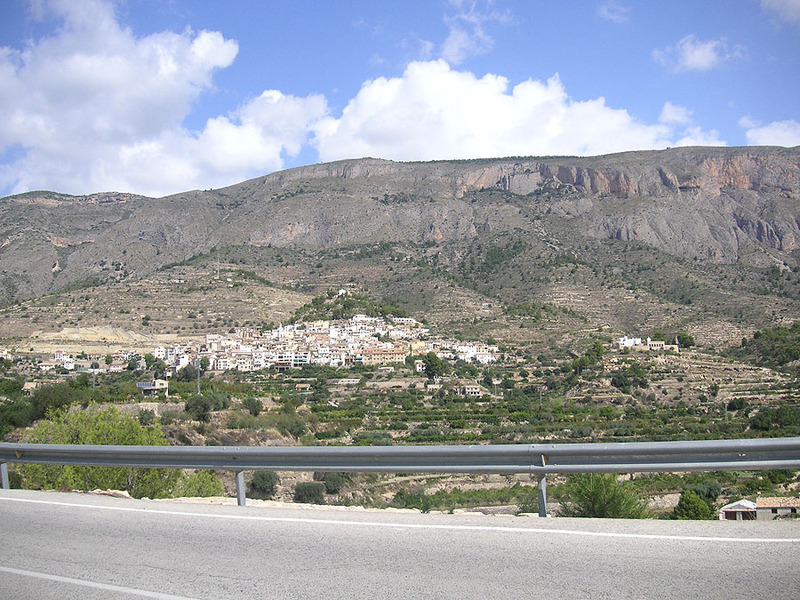 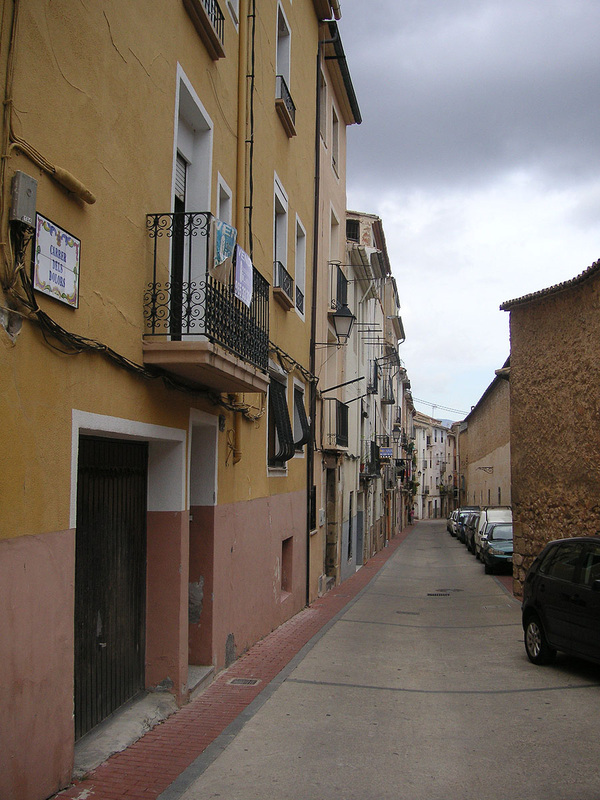 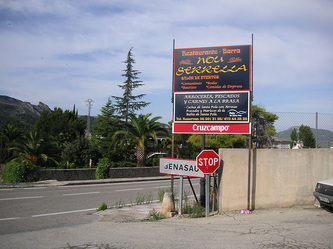 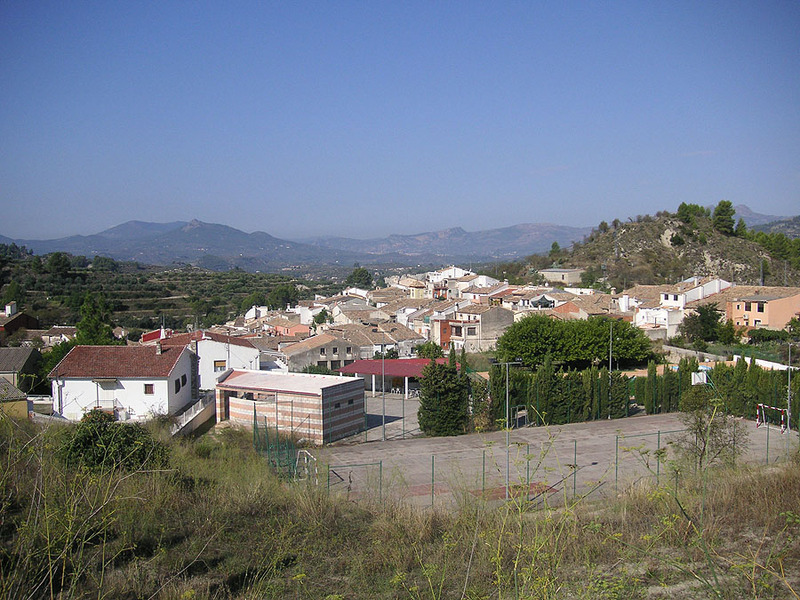 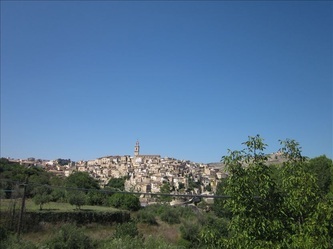 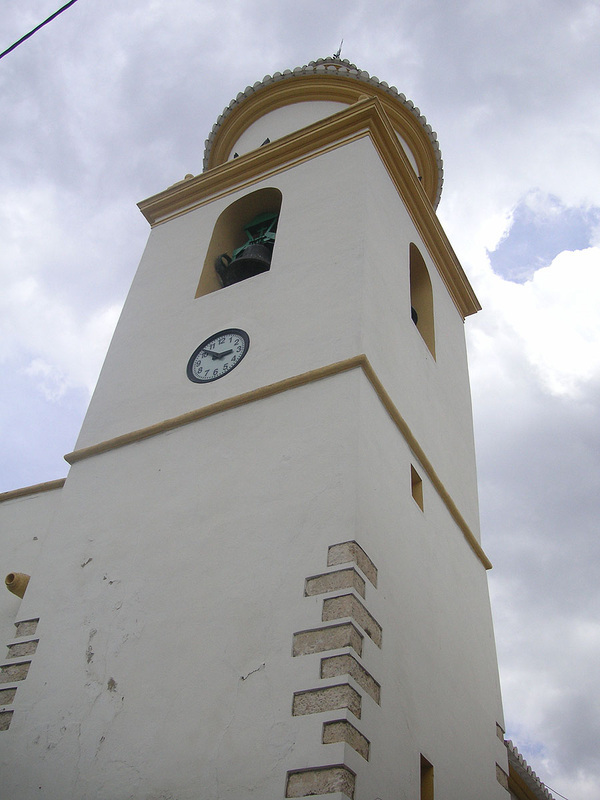 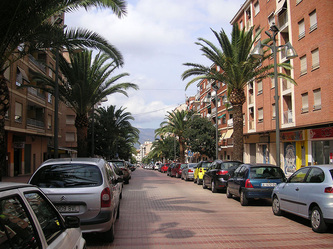 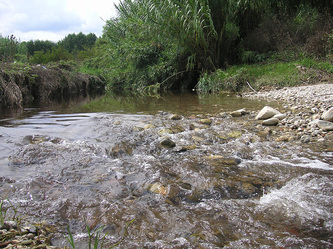 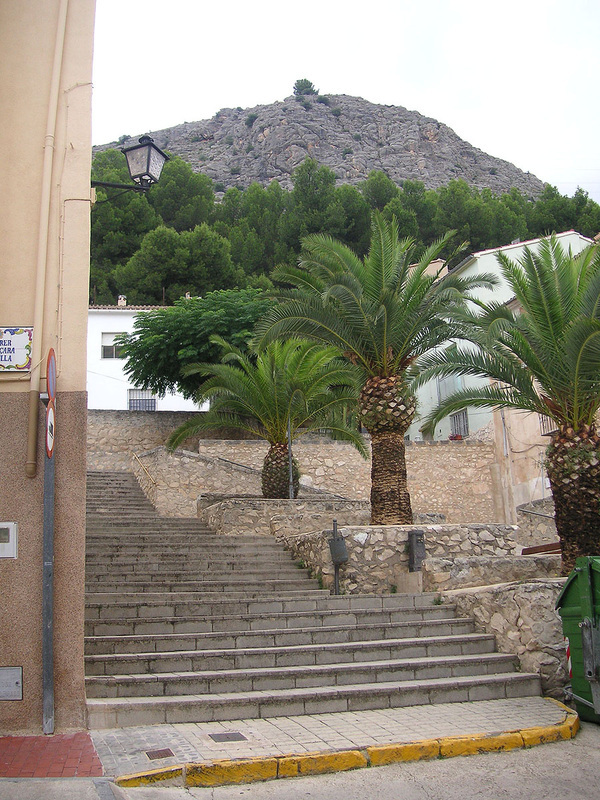 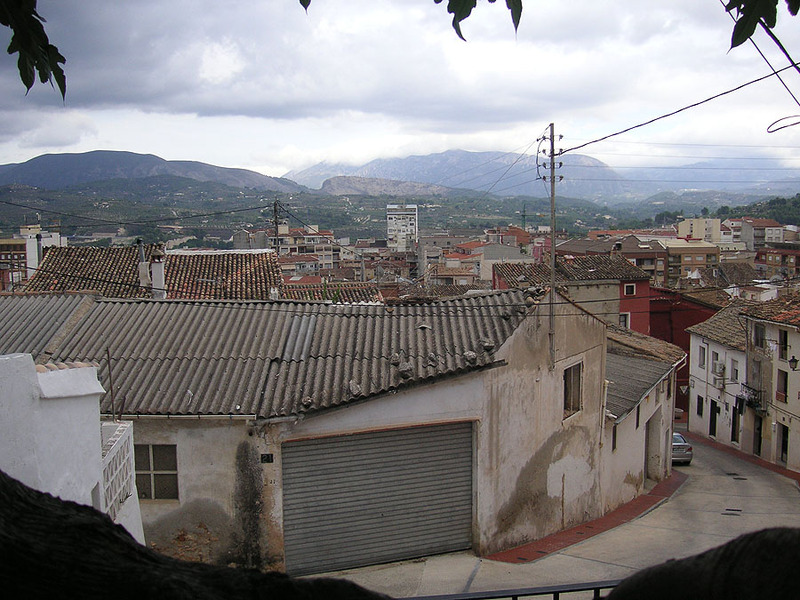 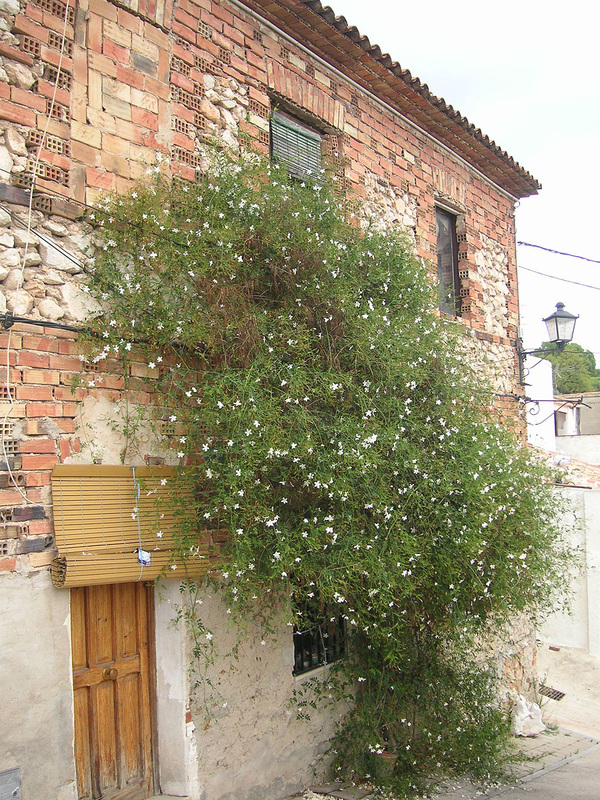 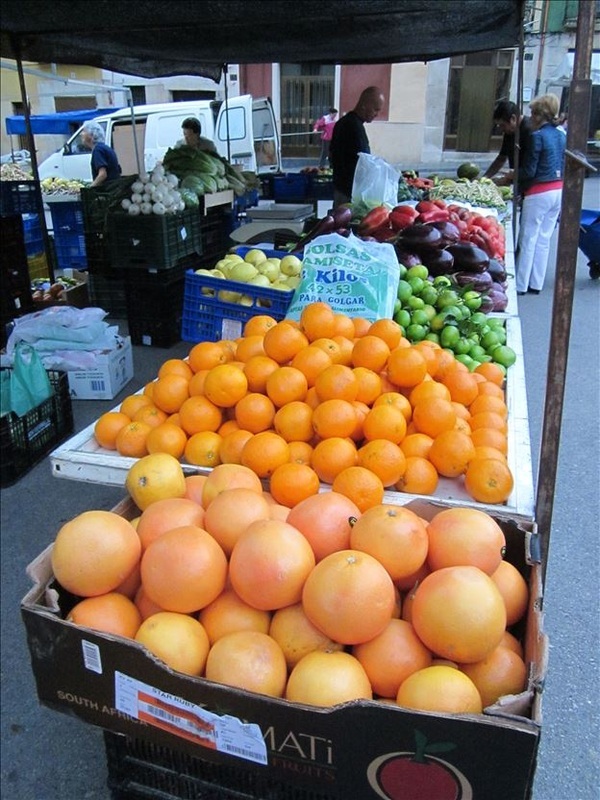 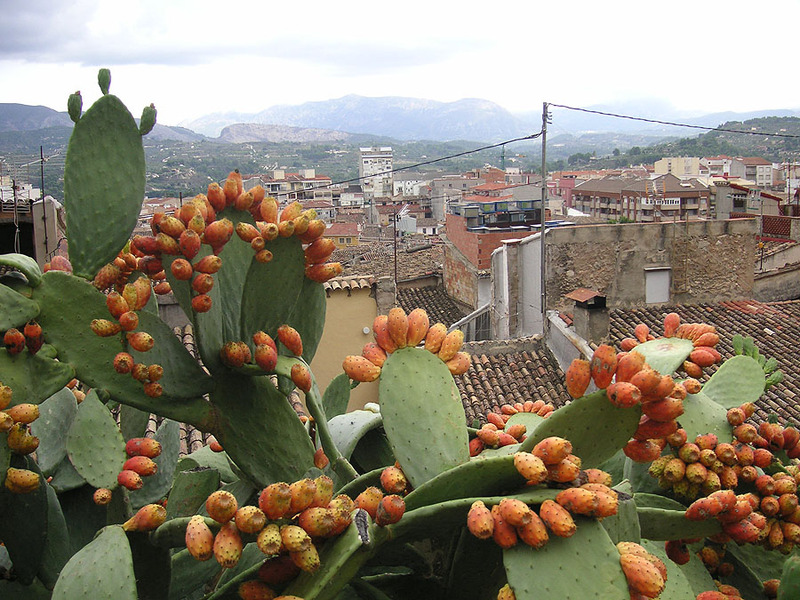 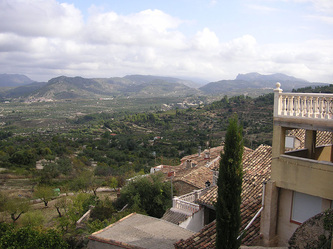 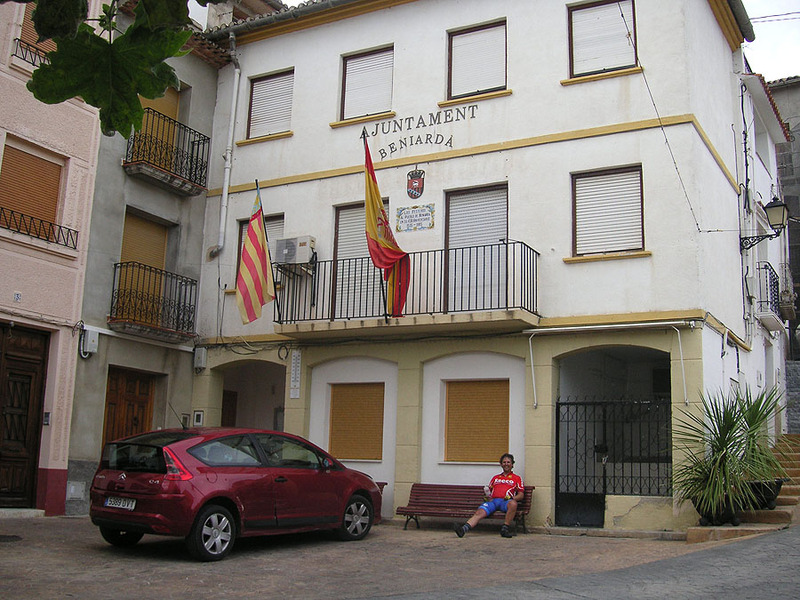 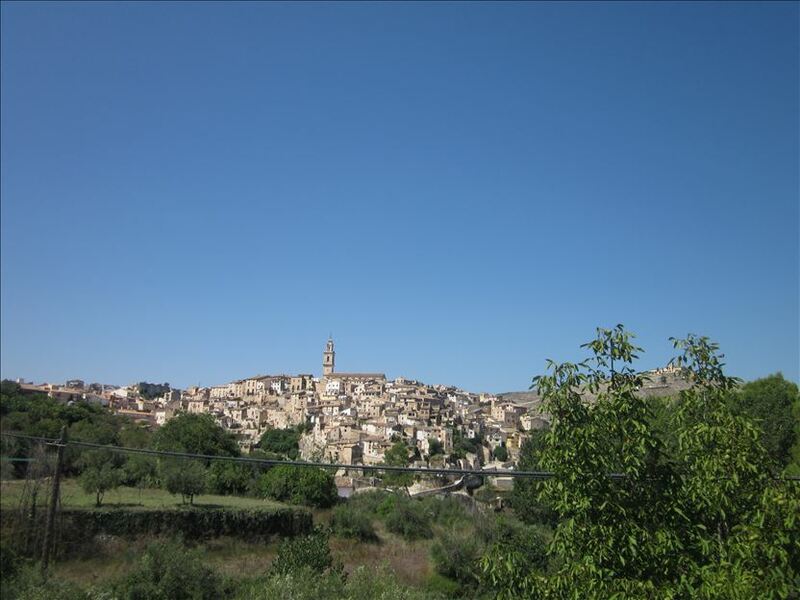 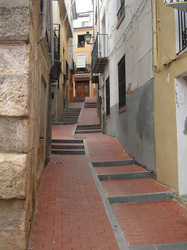 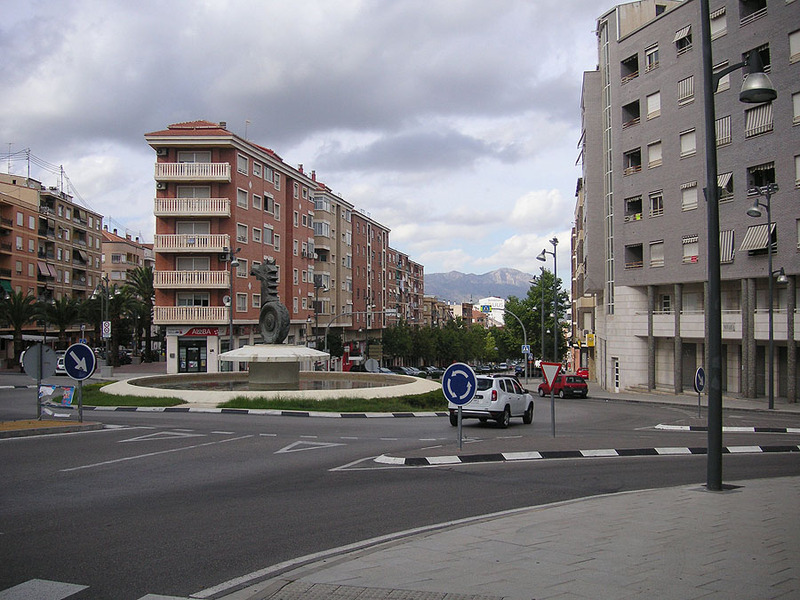 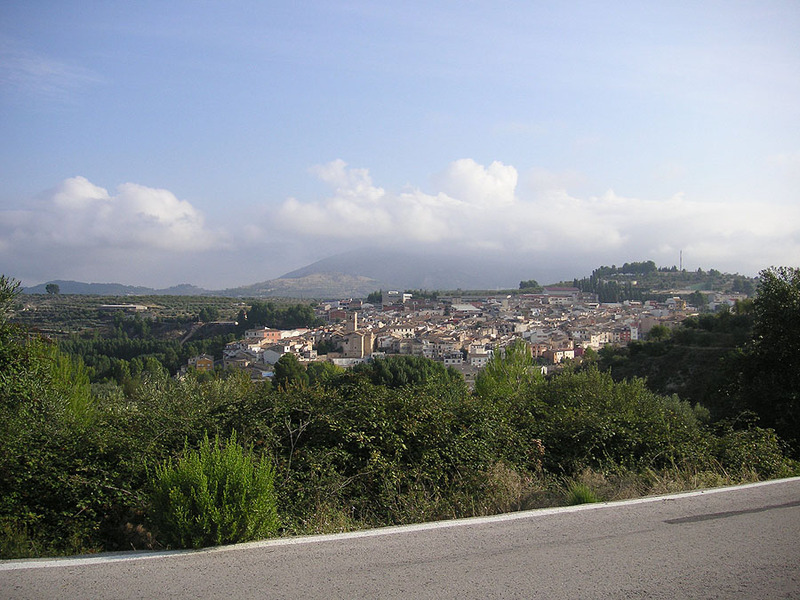 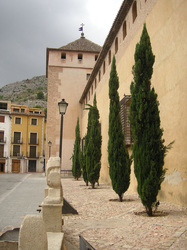 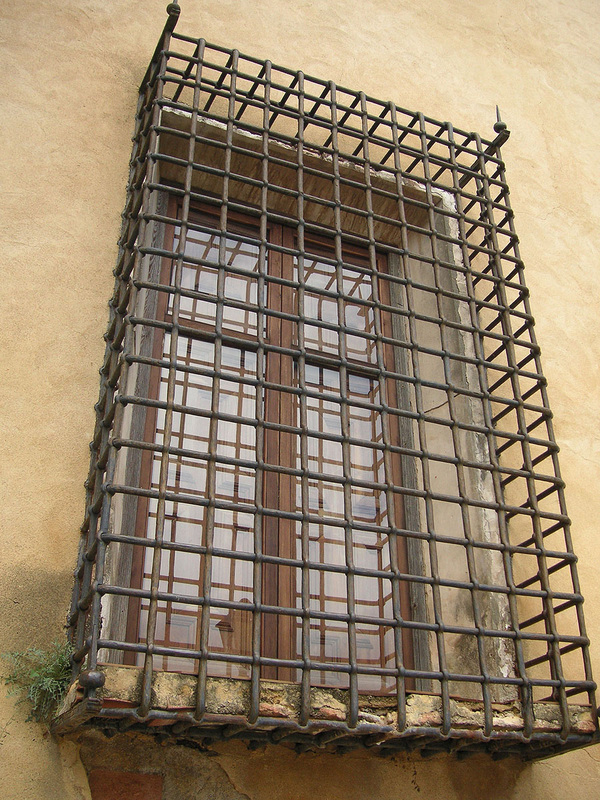 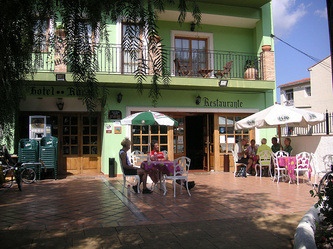 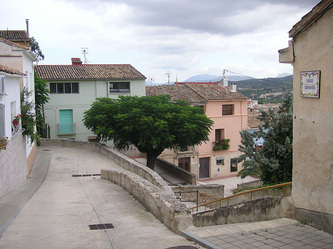 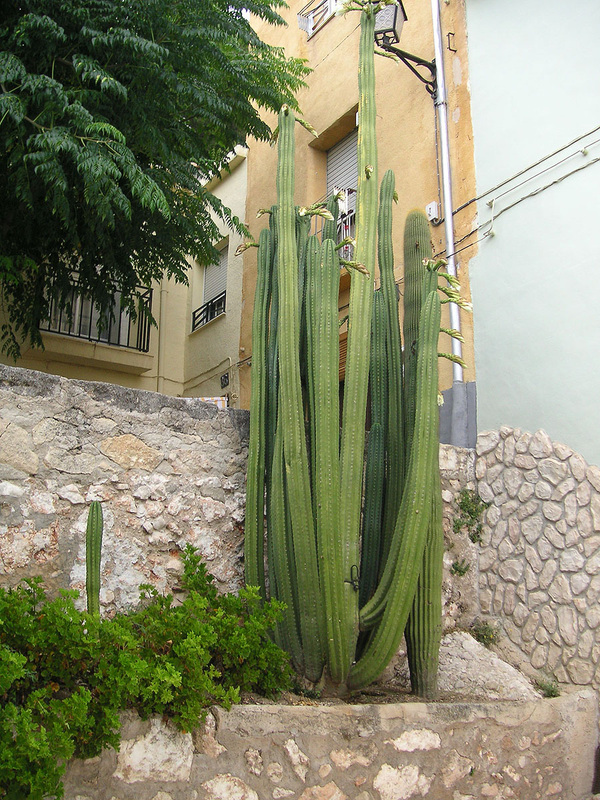 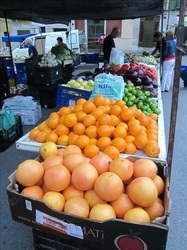 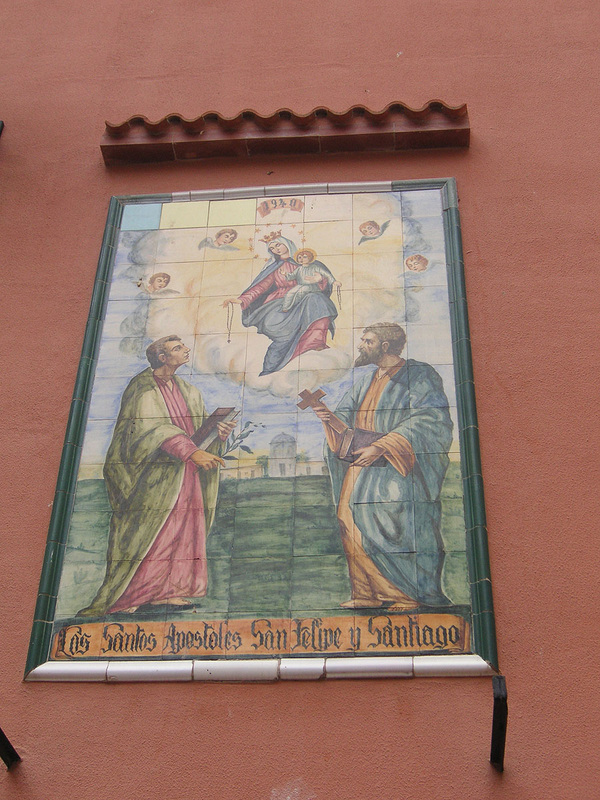 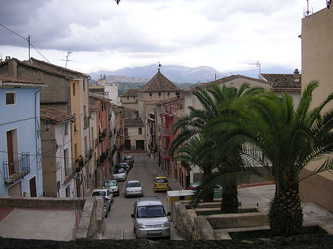 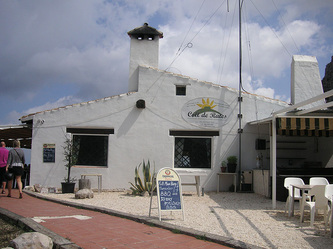 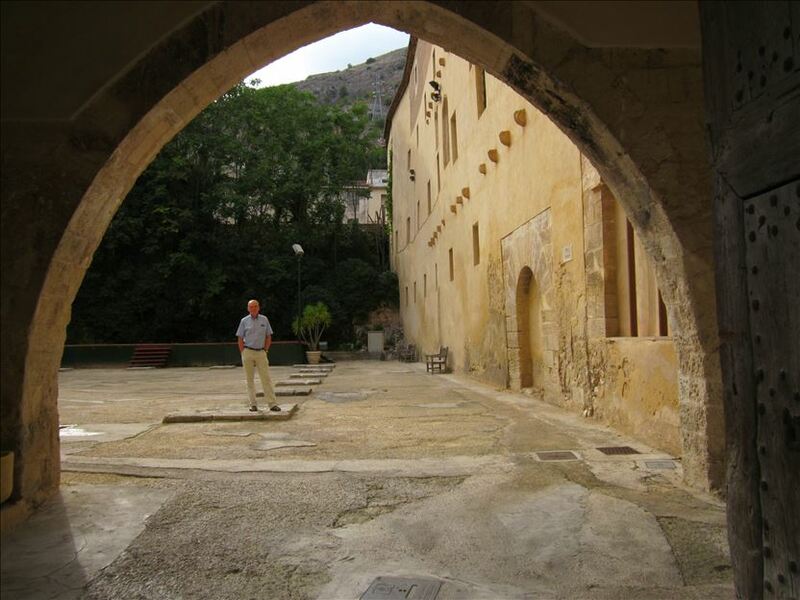 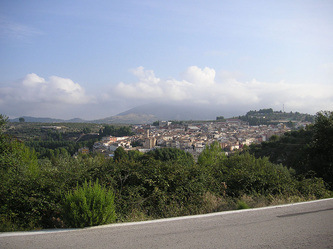 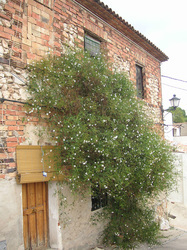 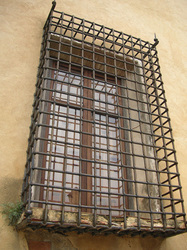 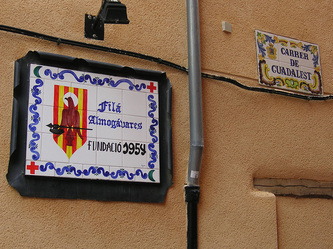 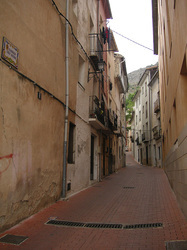 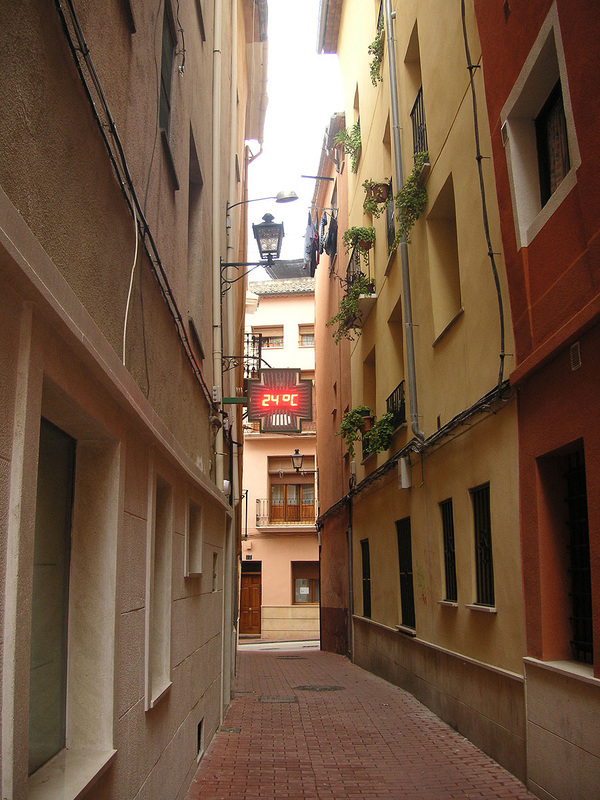 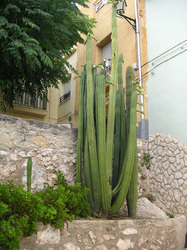 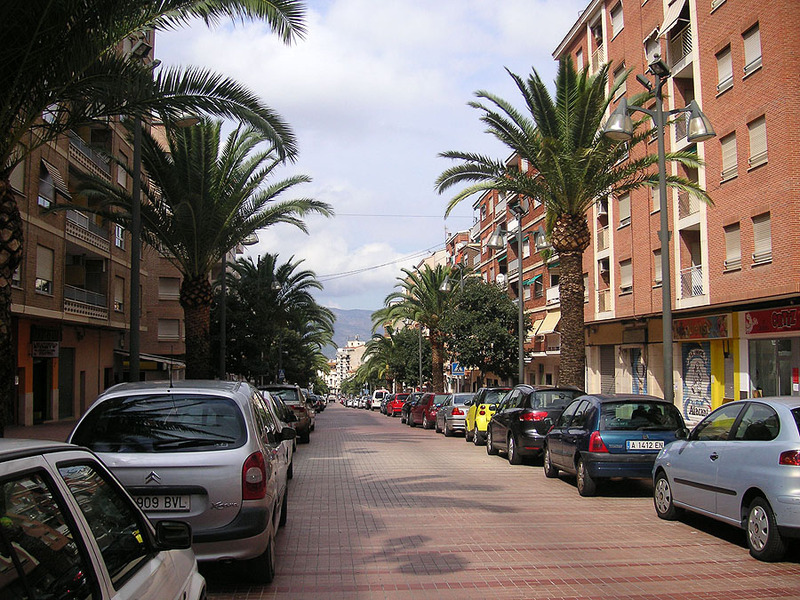 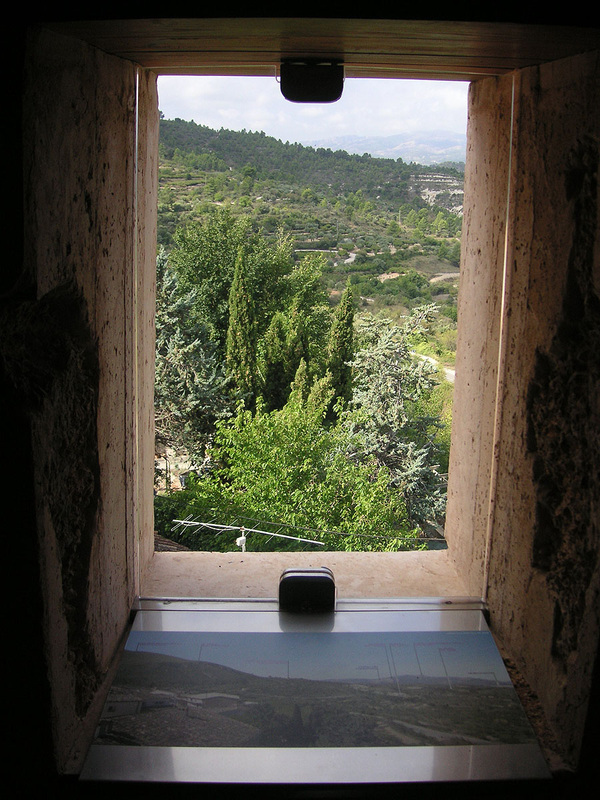 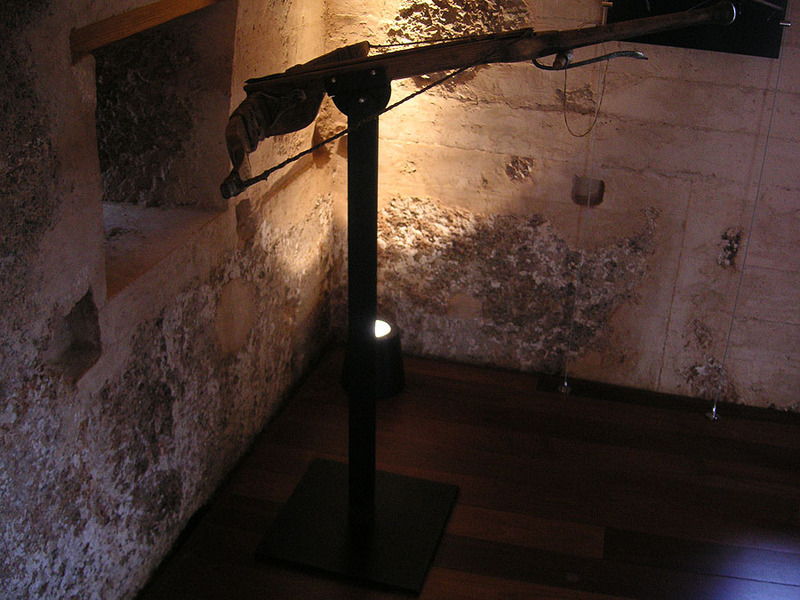 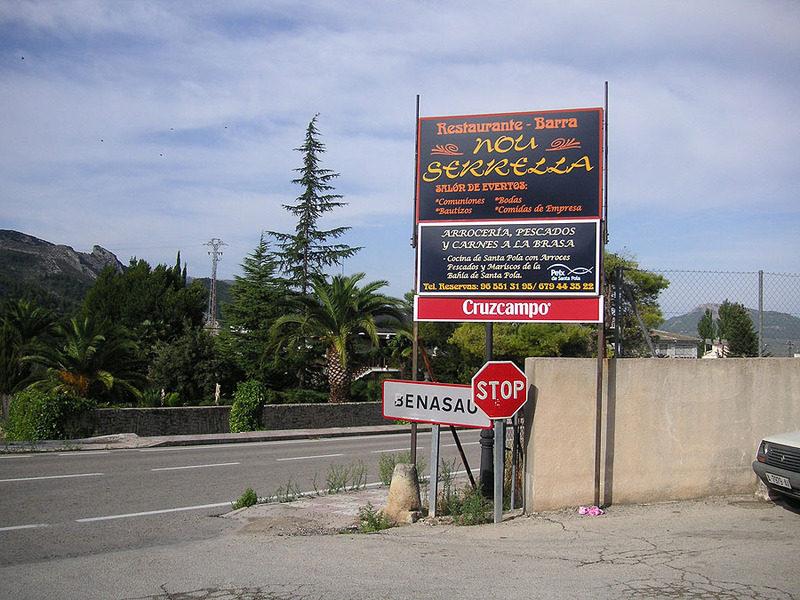 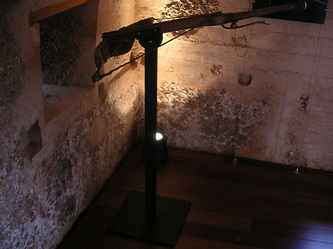 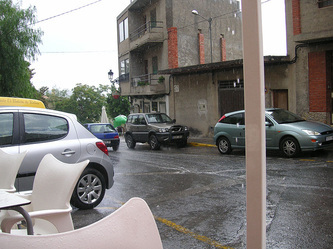 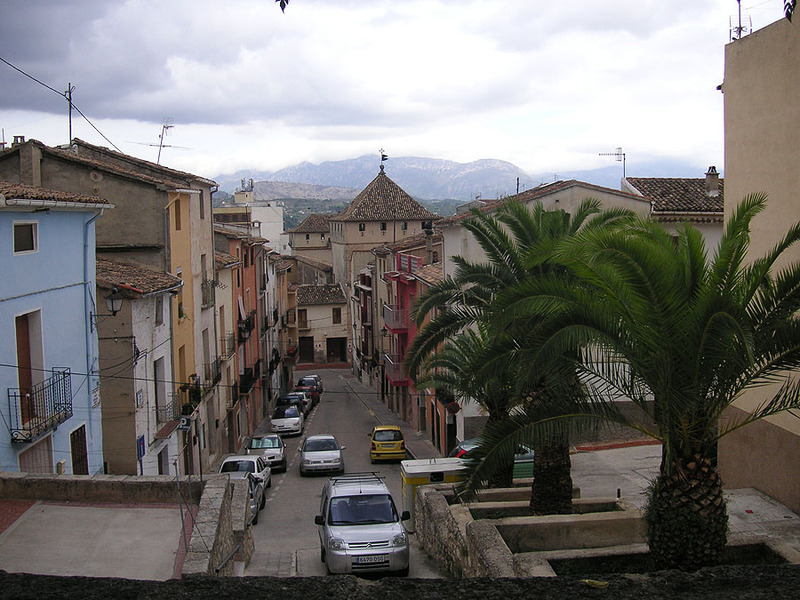 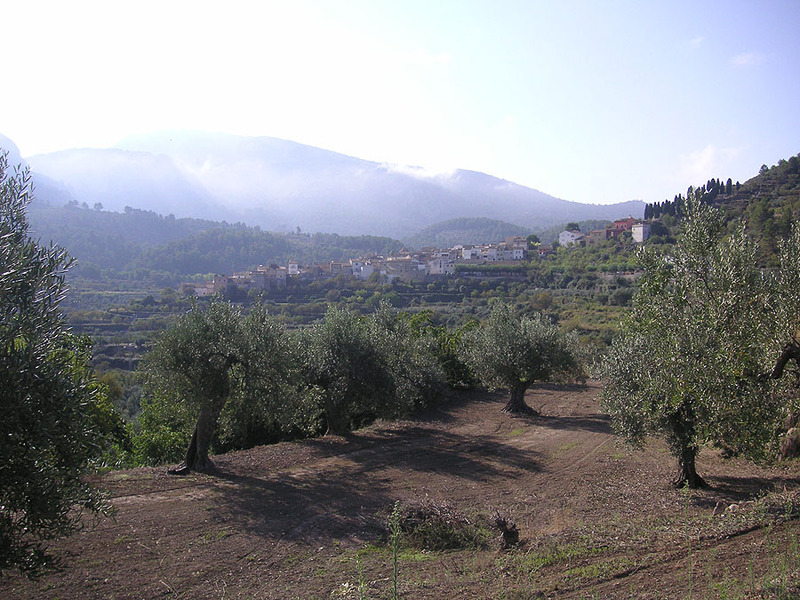 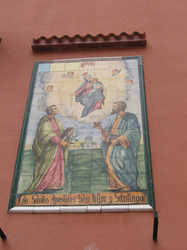 Visit some of the more remote villages including Millena, Balones, Tollos. Steep but short hills. 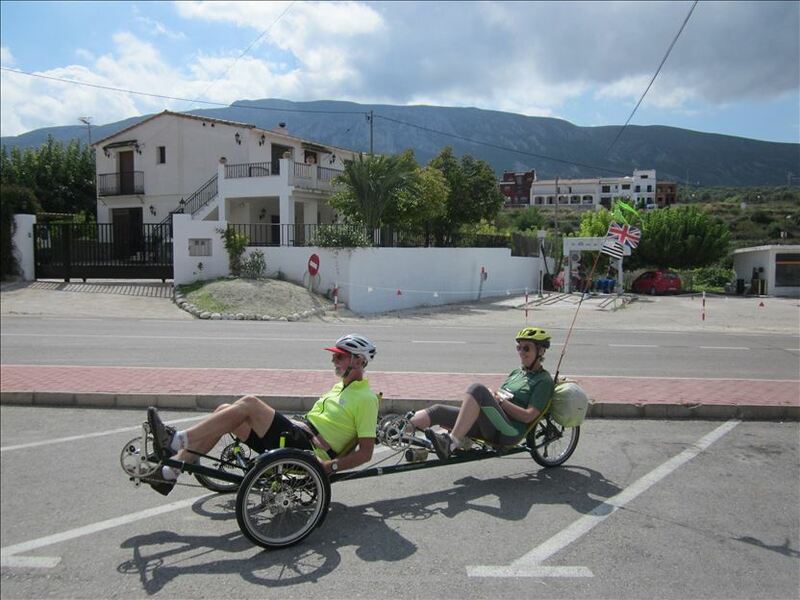 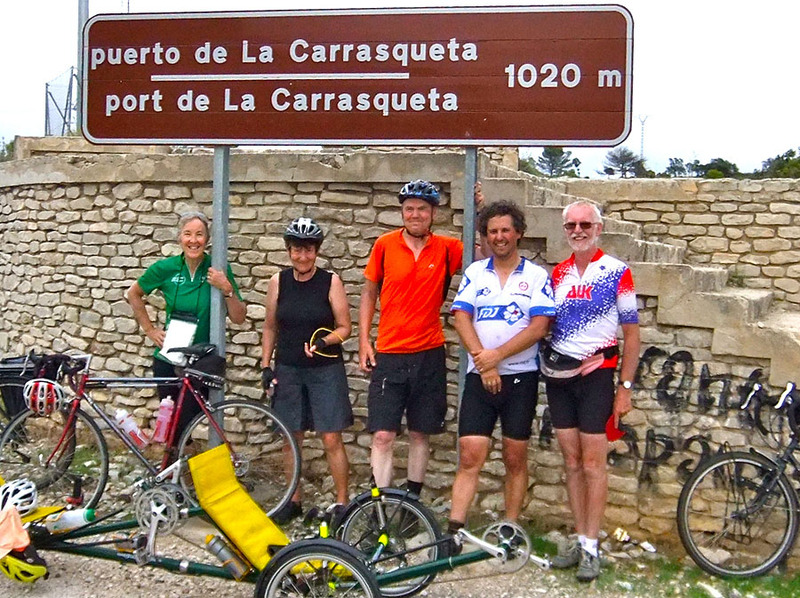 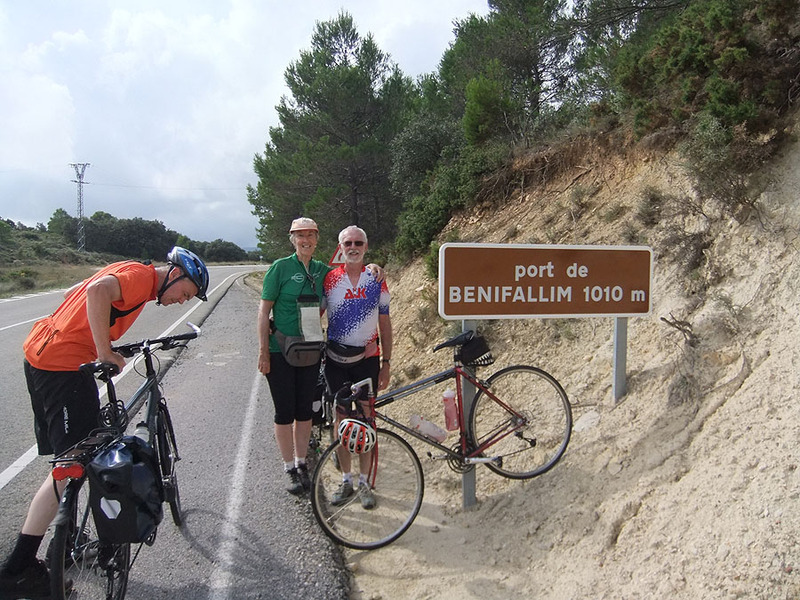 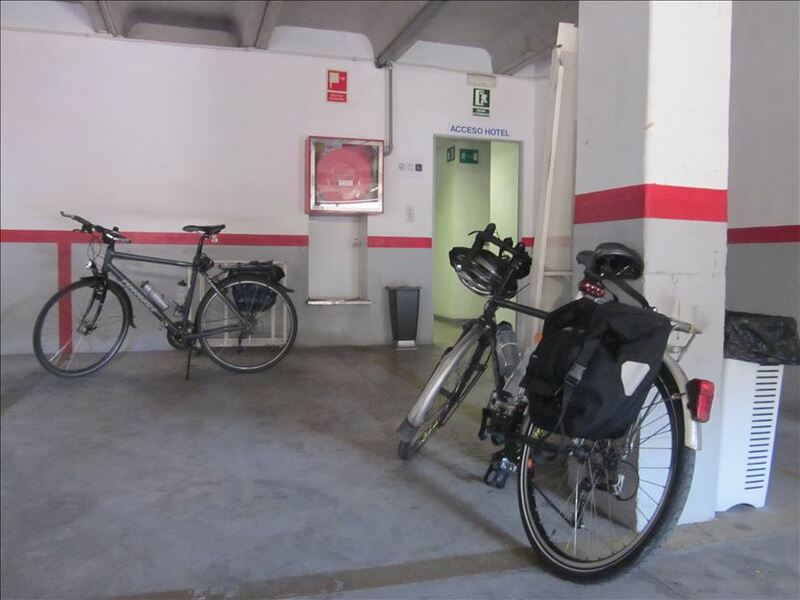 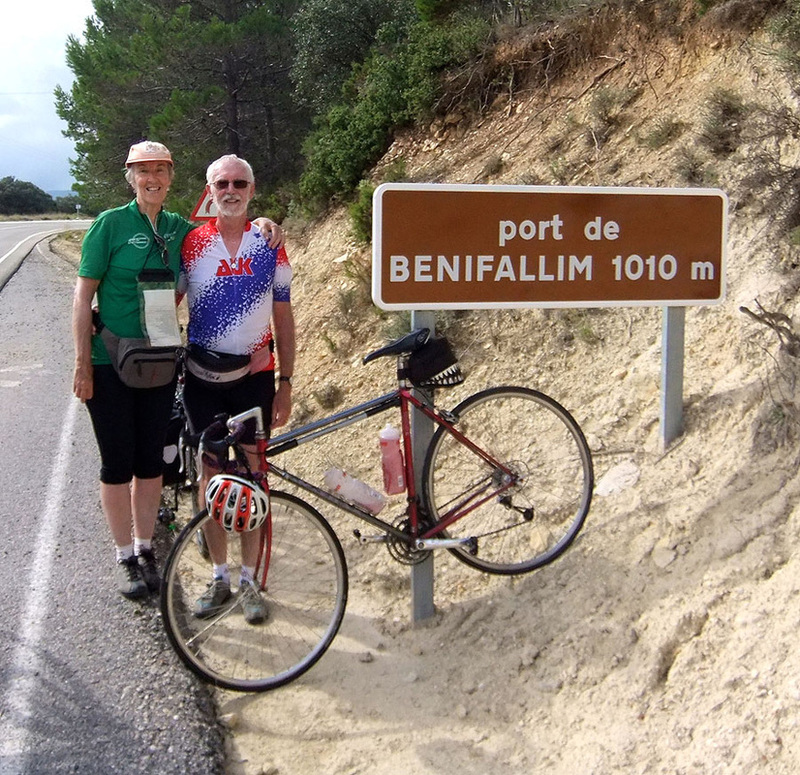 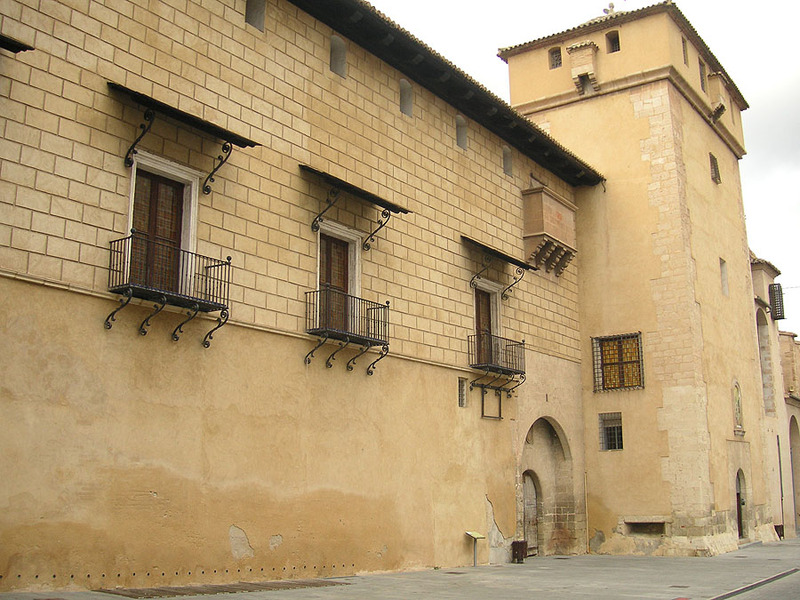 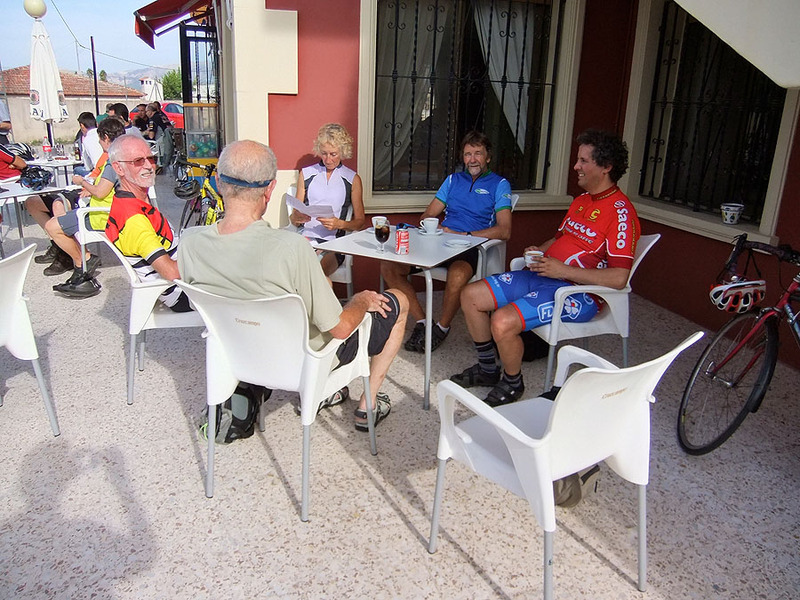 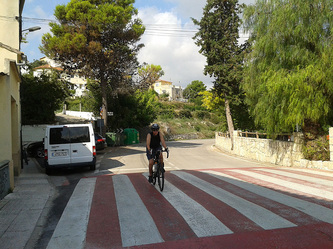 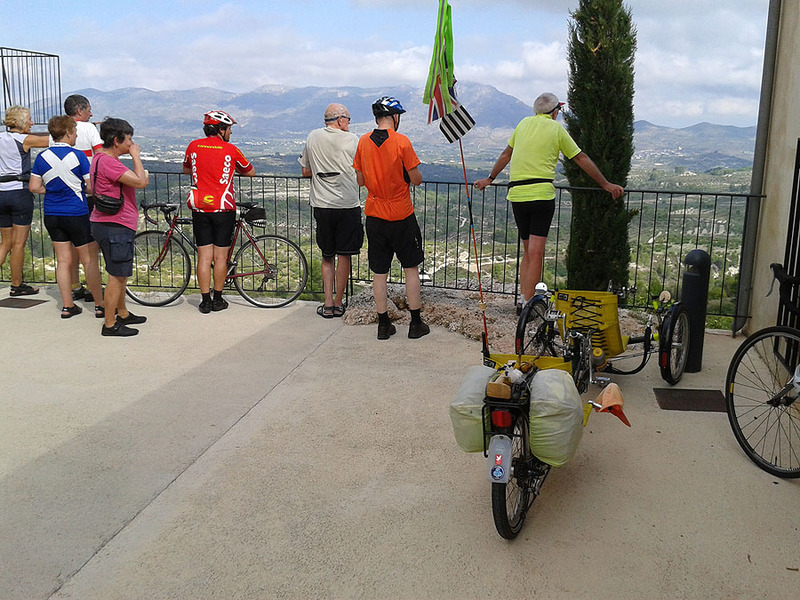 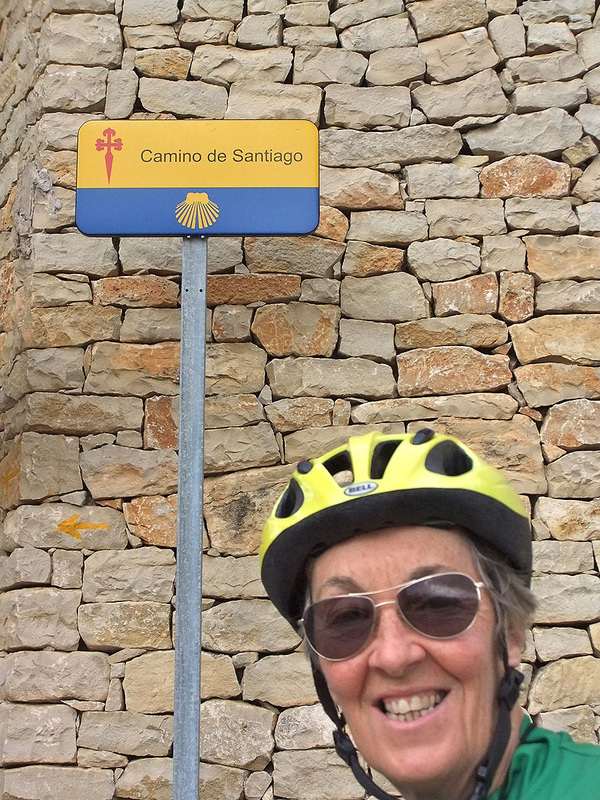 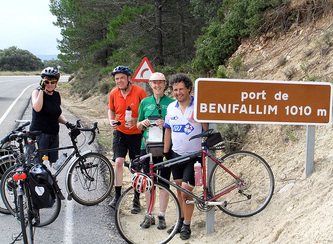 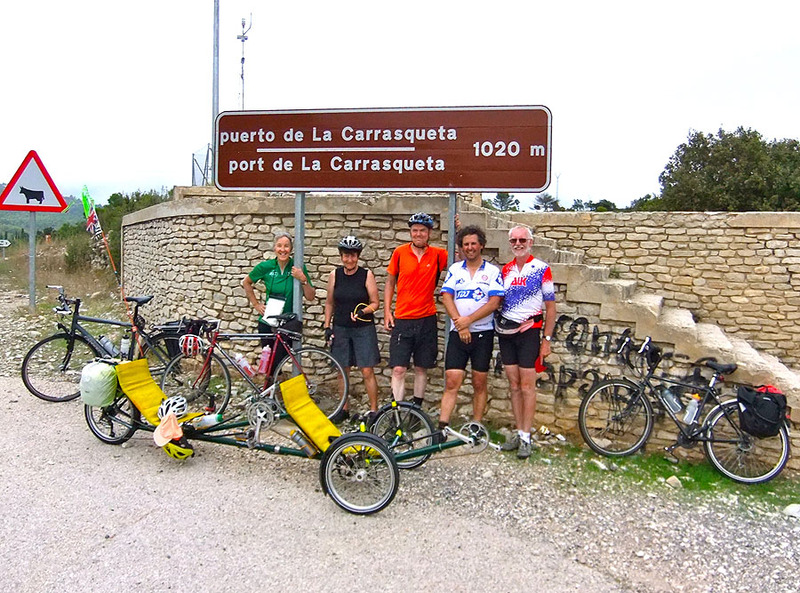 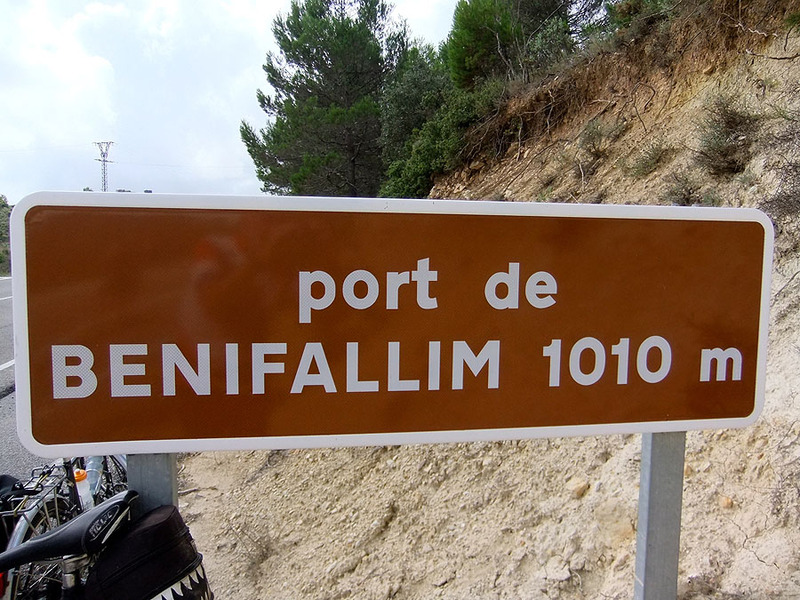 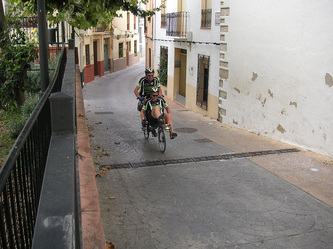 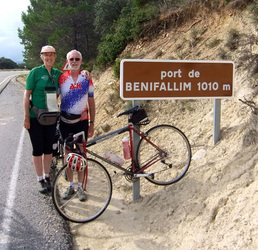 Cycle to Jijona (Xixona in Valenciano) and climb the Port de Benifallim and the very spectacular Port de la Carrasqueta with views down to the Mediterranean.